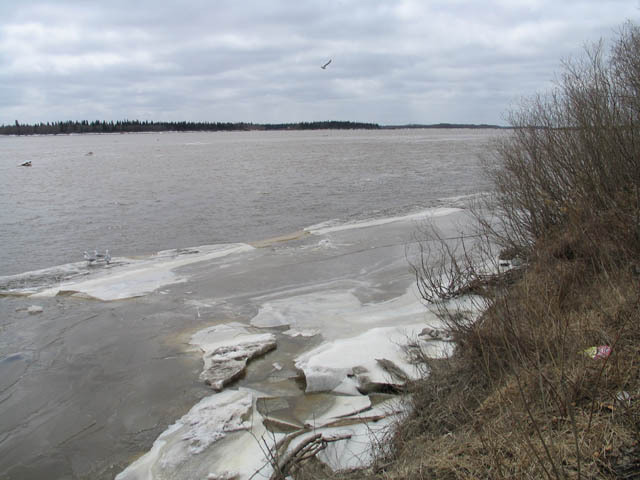 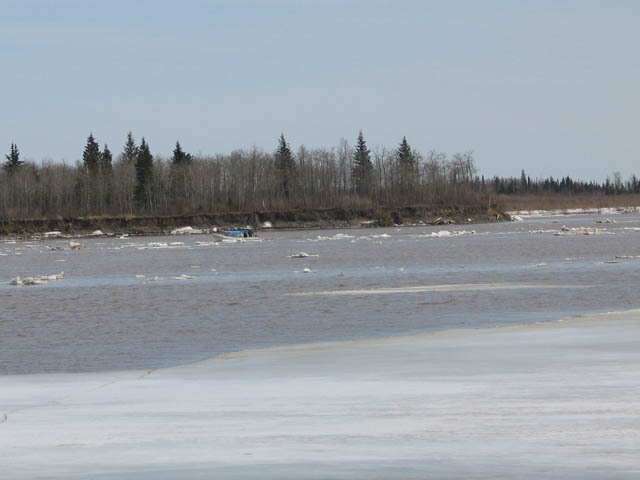 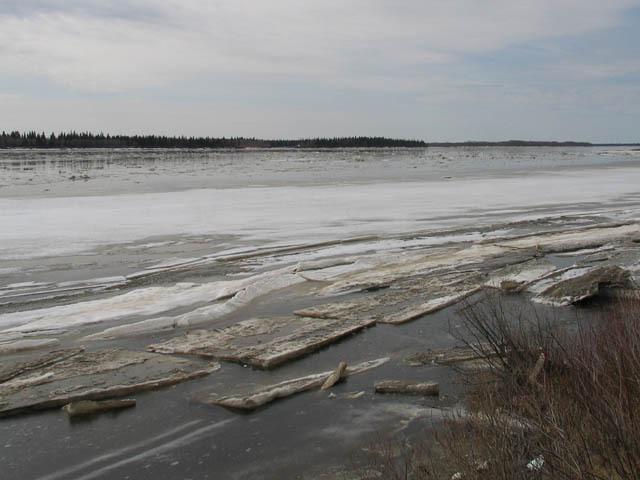 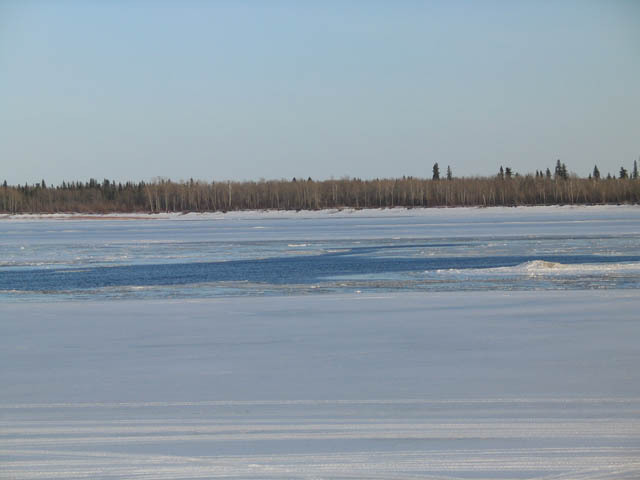 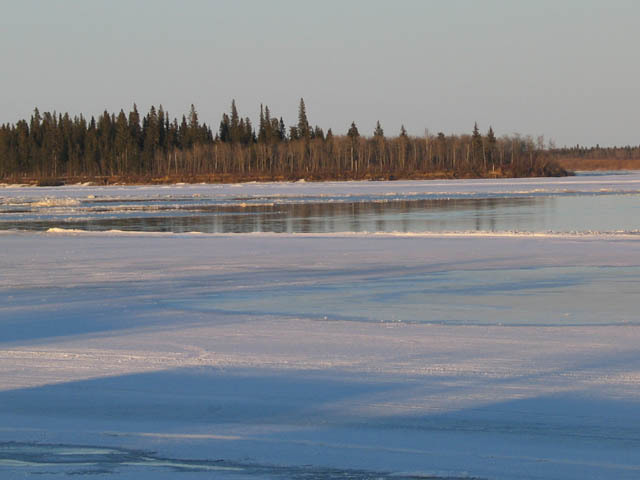 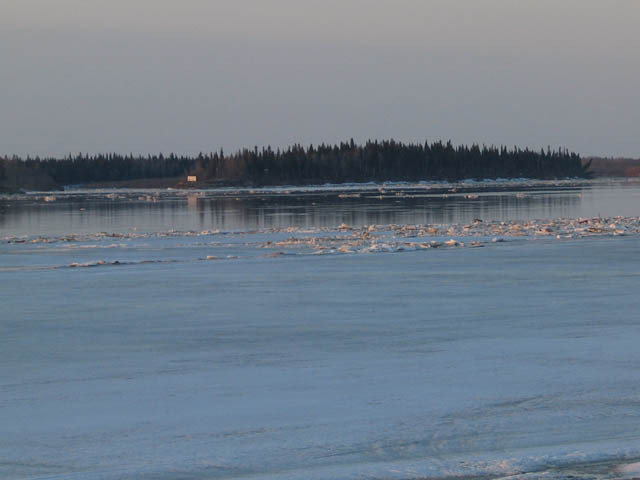 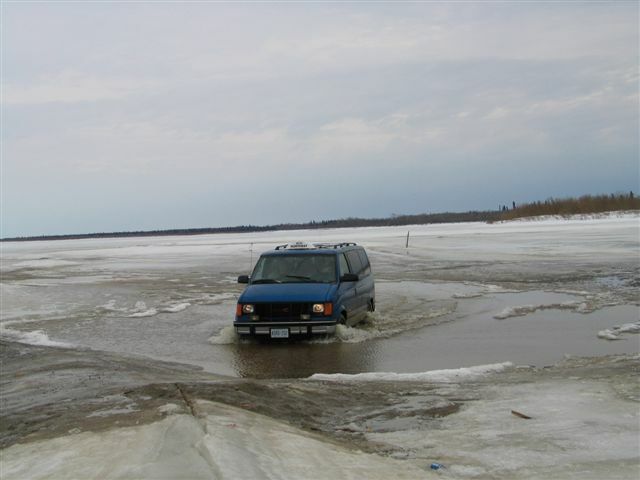 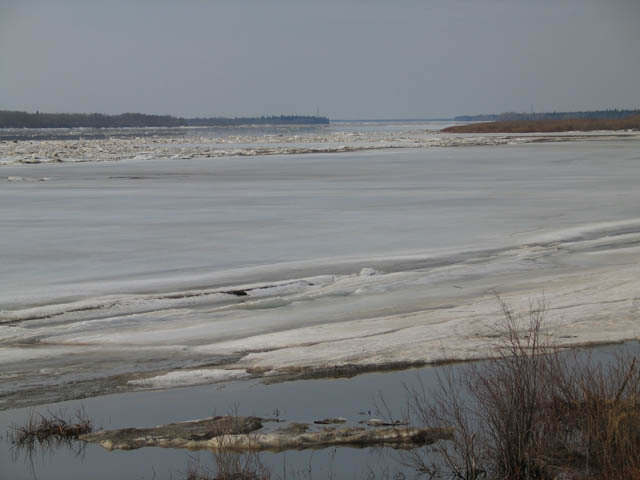 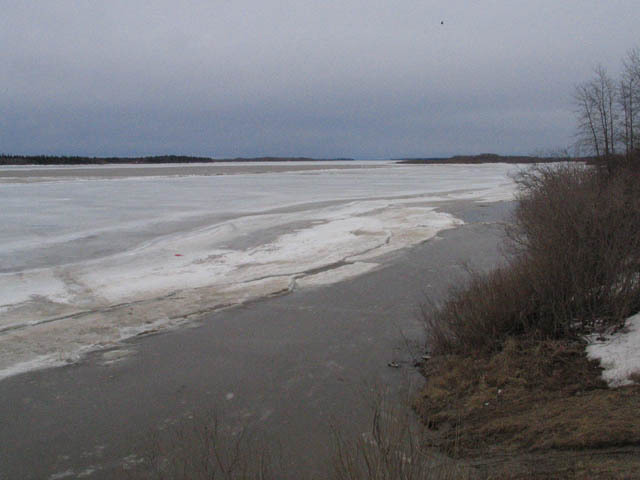 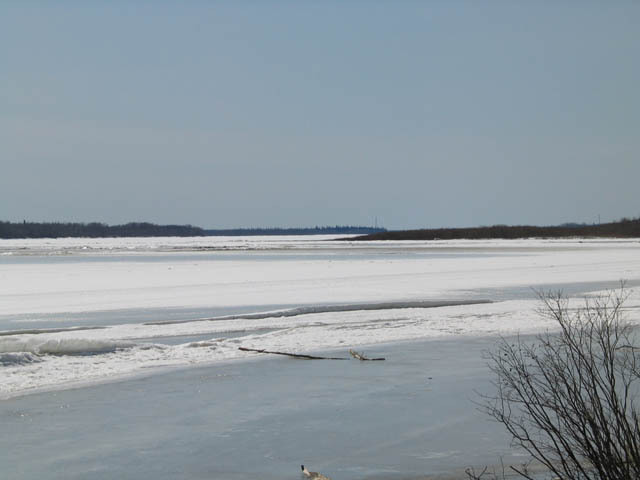 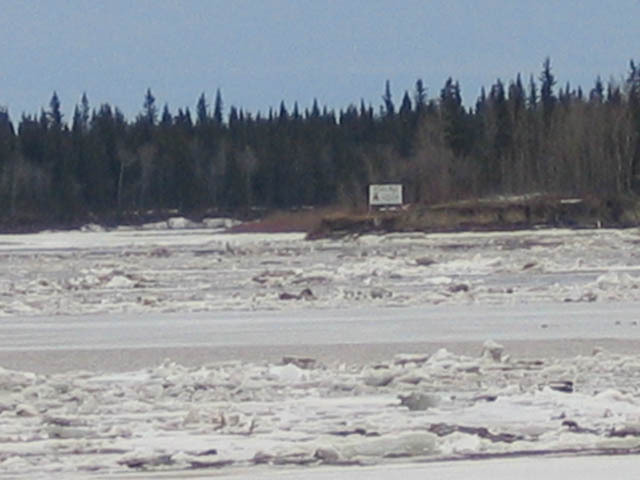 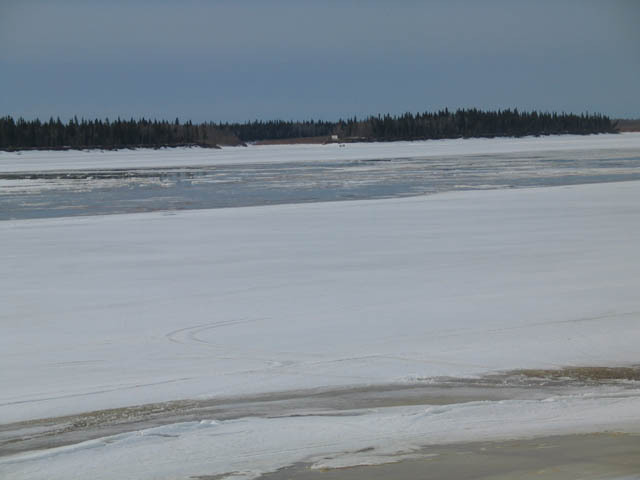 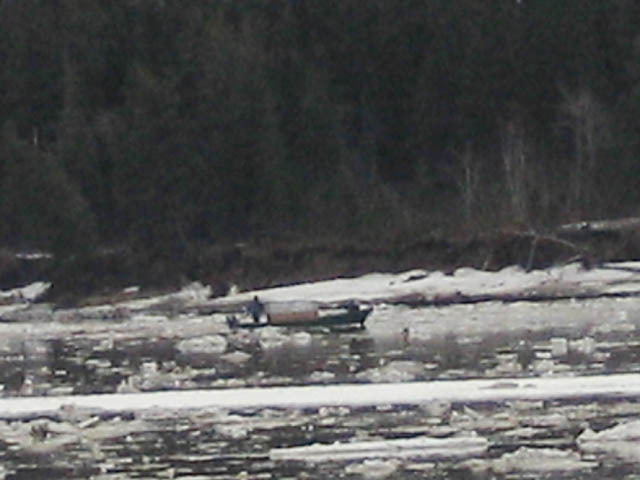 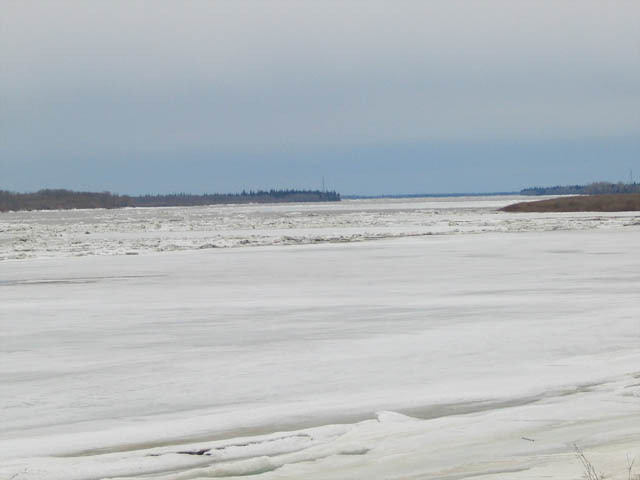 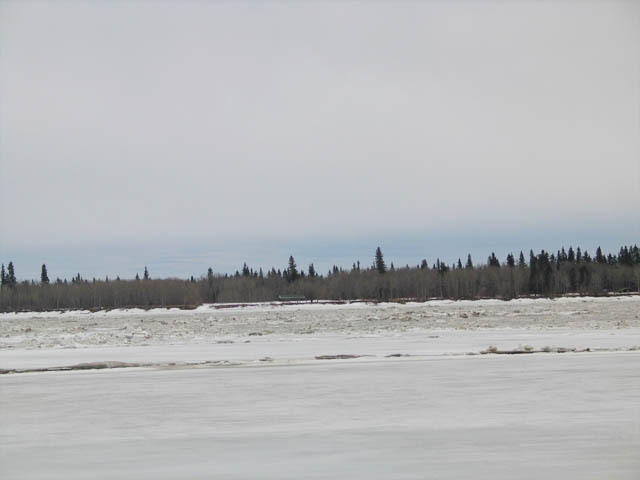 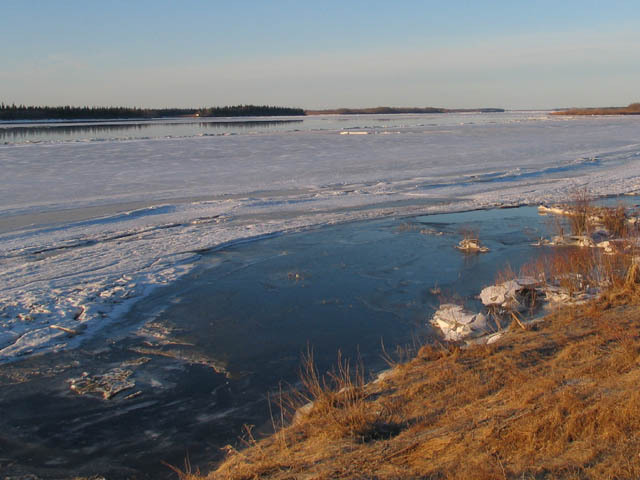 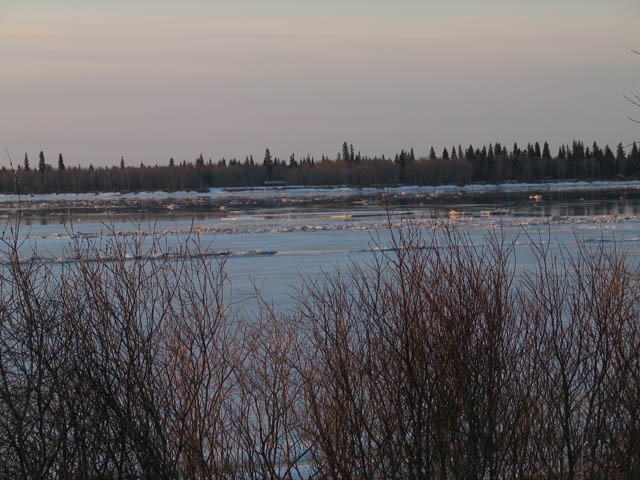 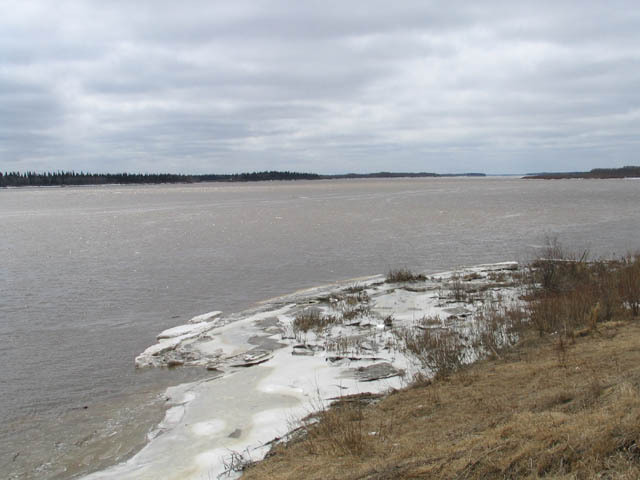 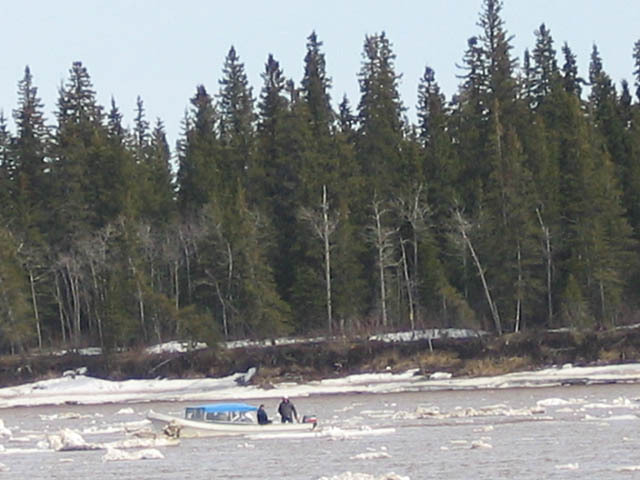 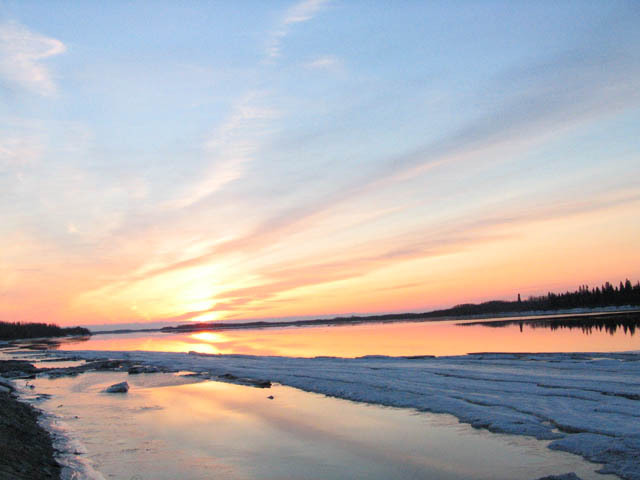 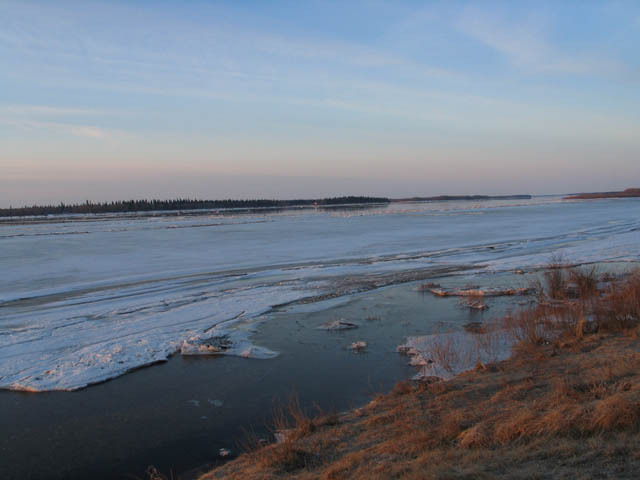 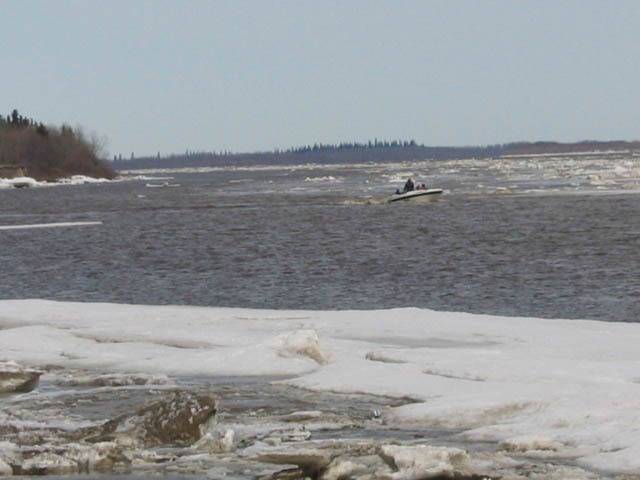 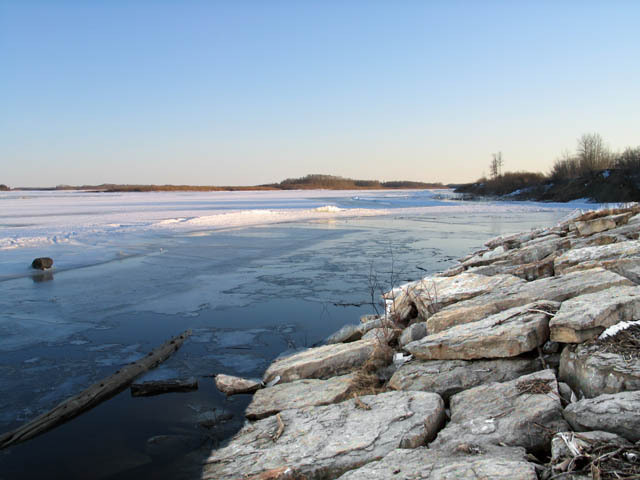 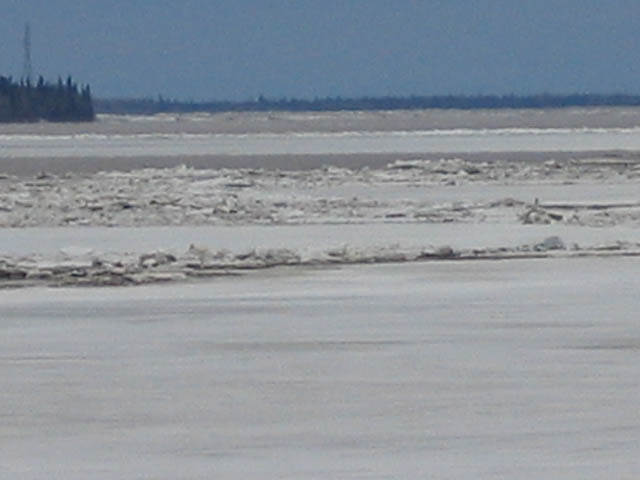 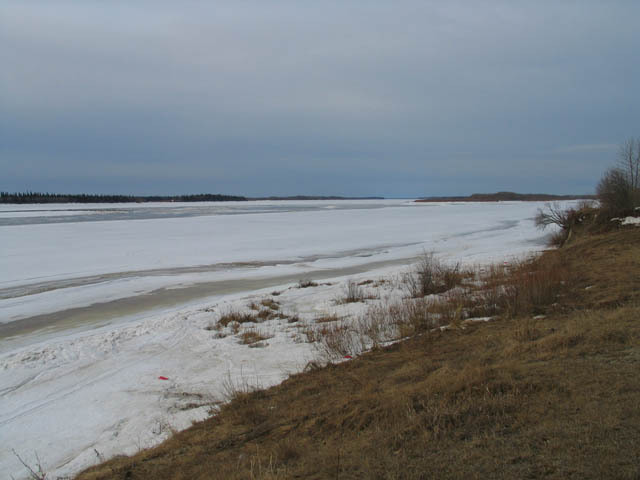 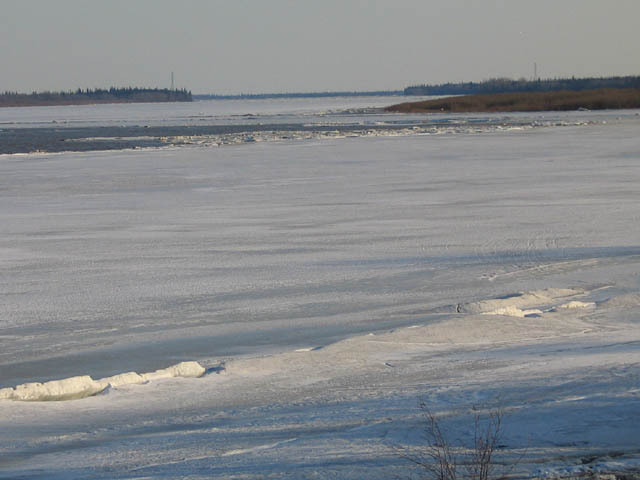 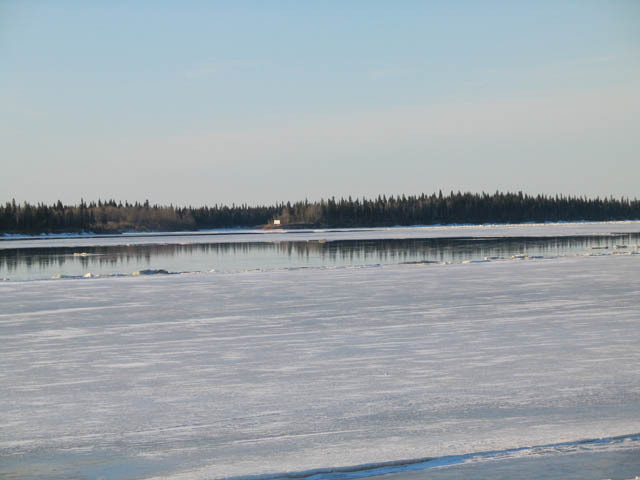 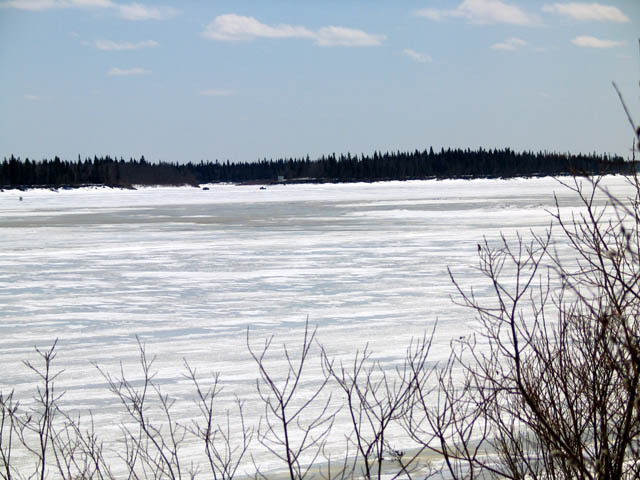 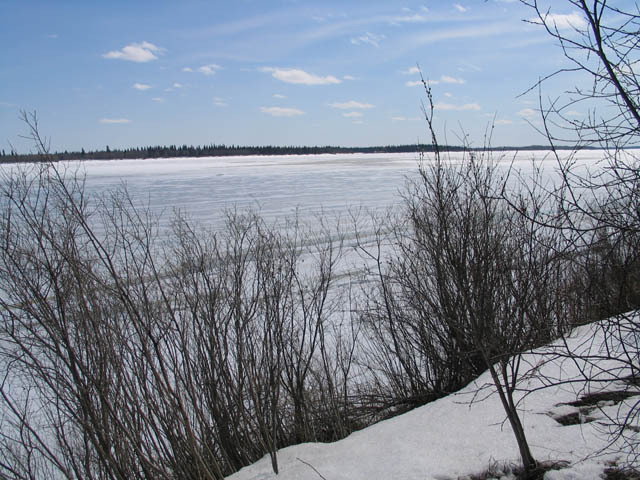 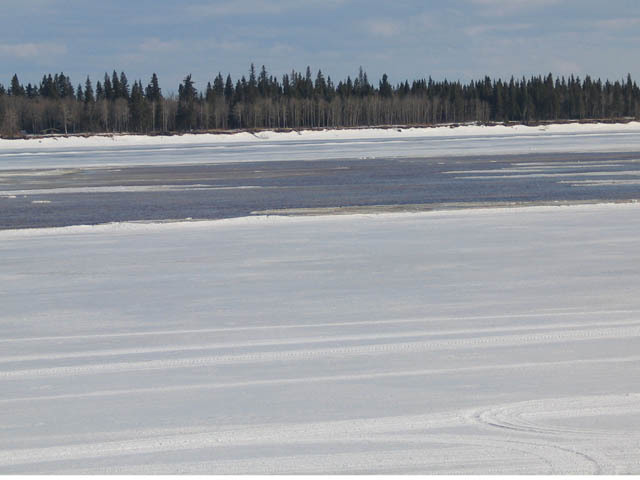 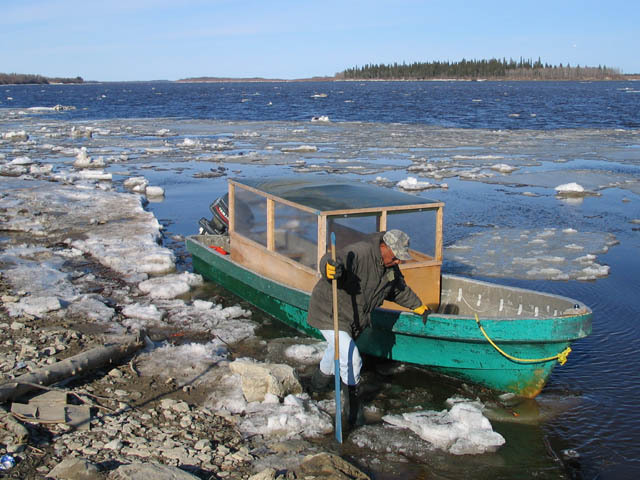 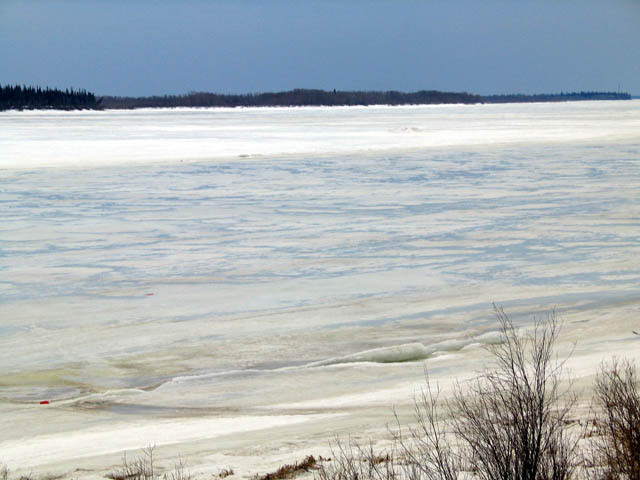 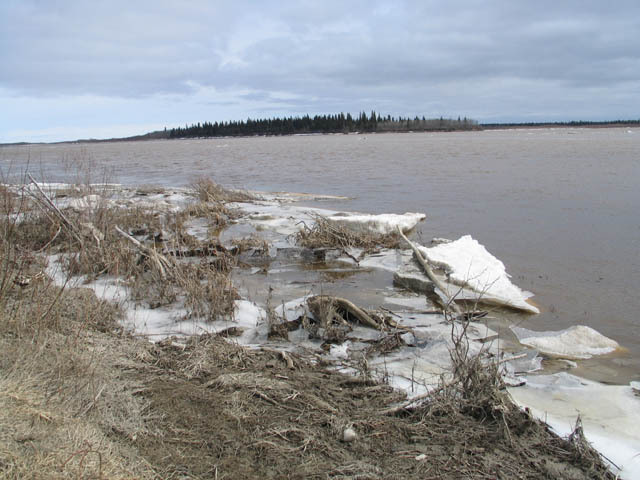 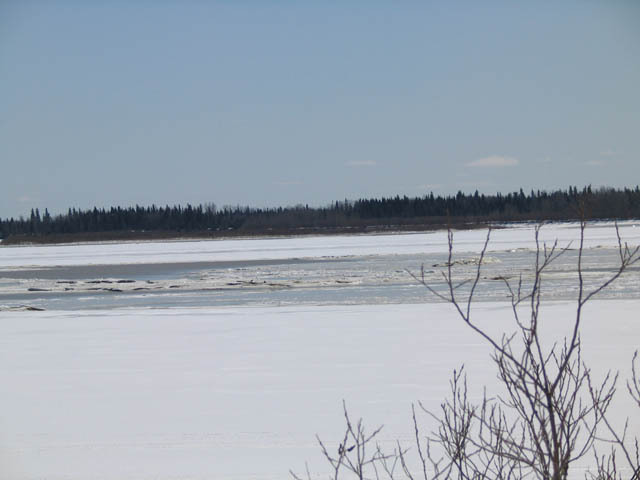 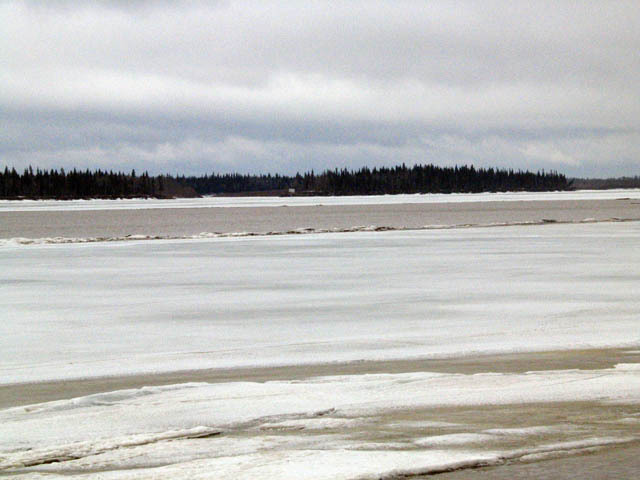 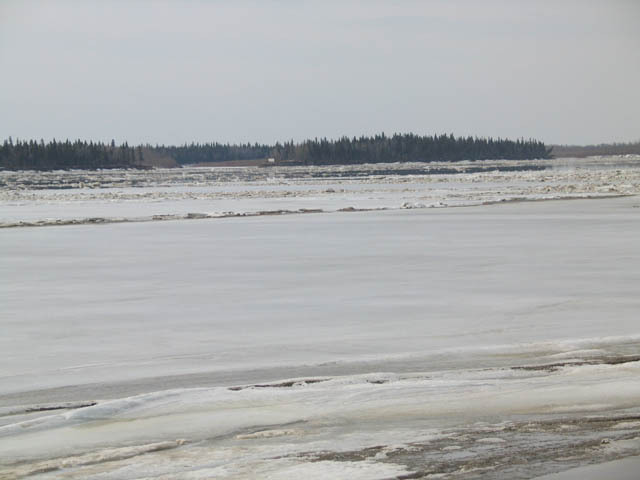 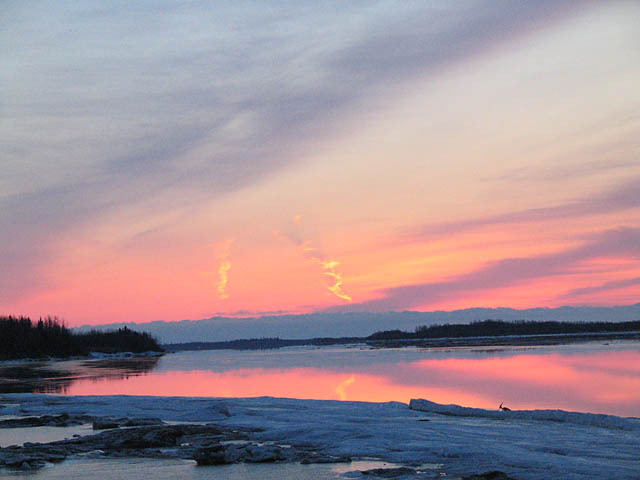 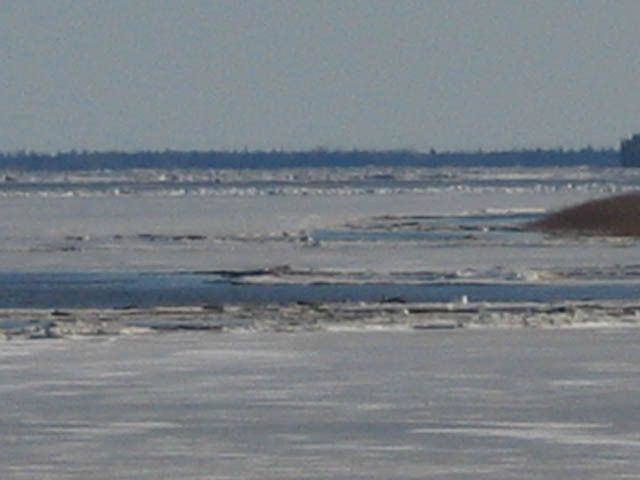 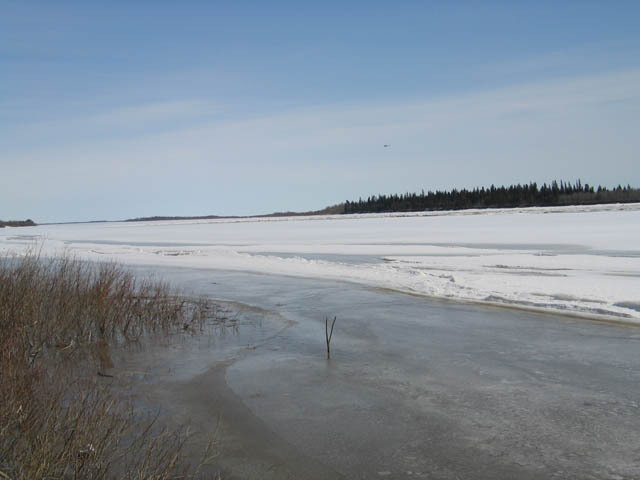 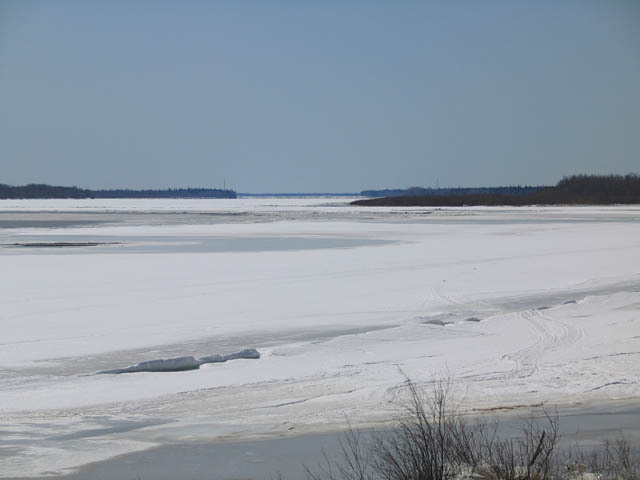 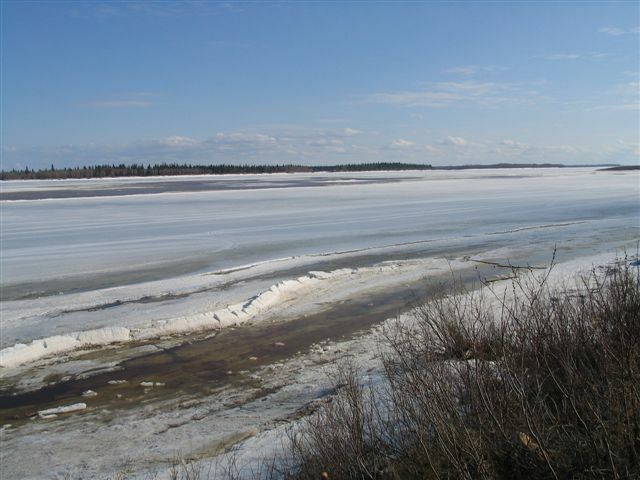 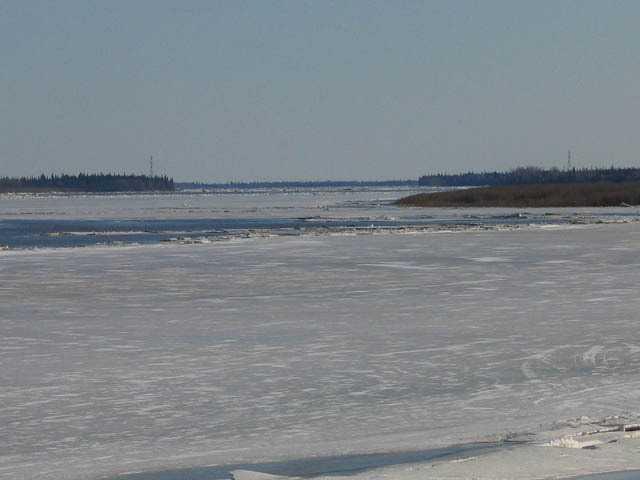 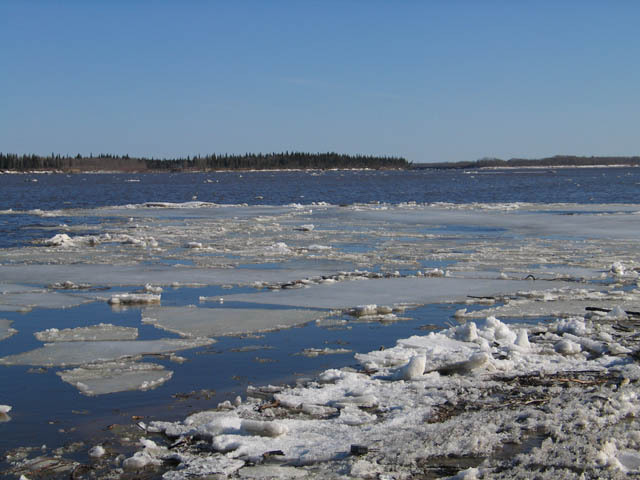 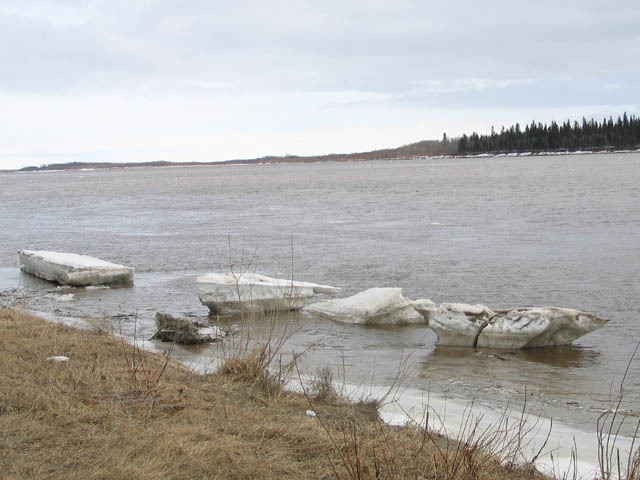 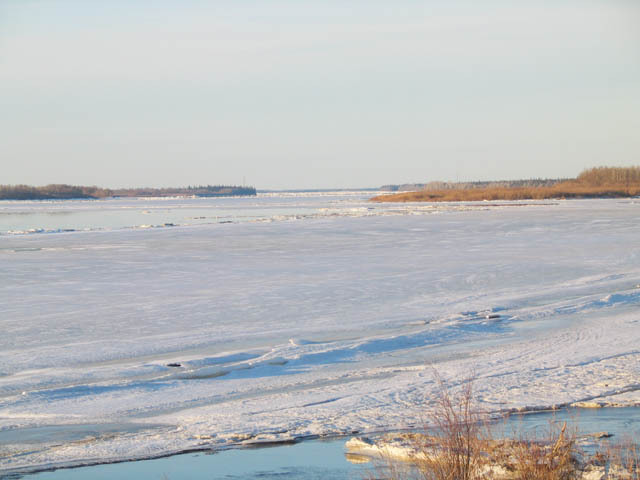 The ice in the Moose River breaks up in the spring and freezes in late fall. 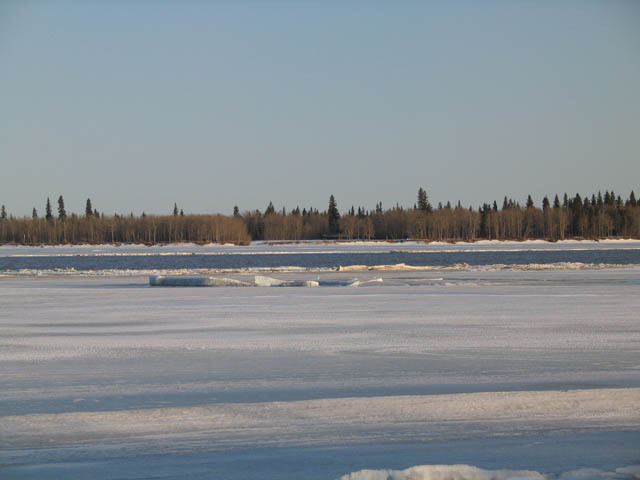 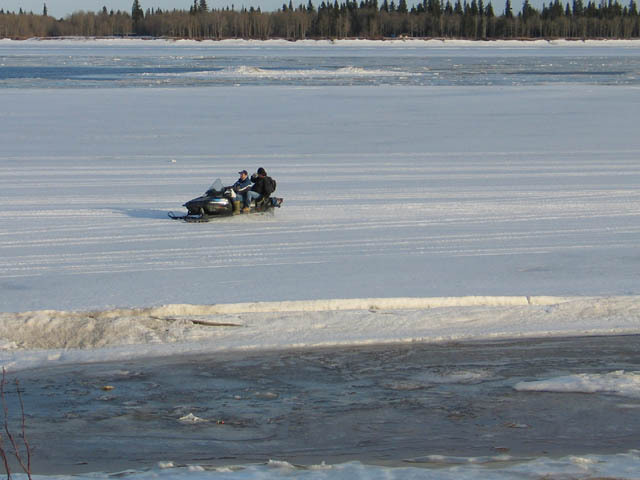 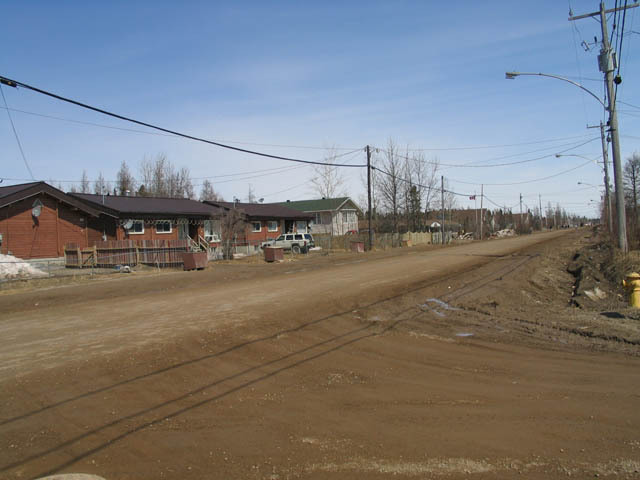 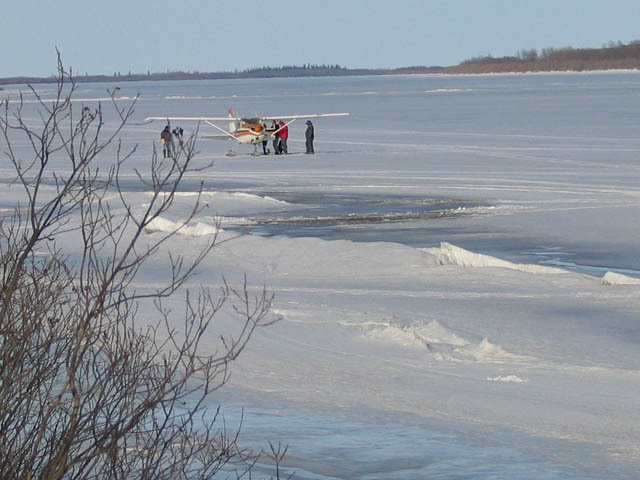 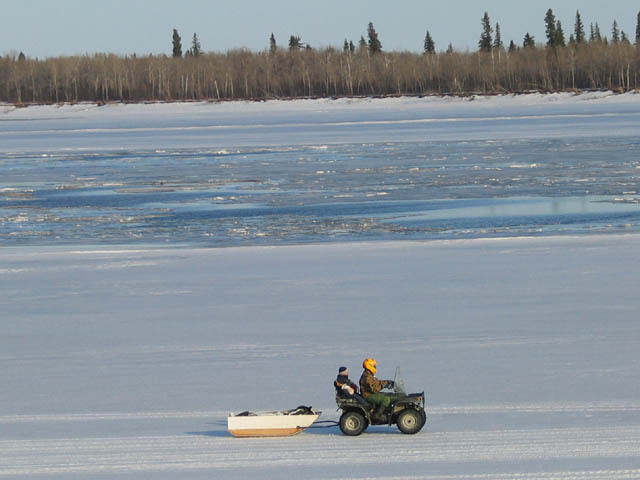 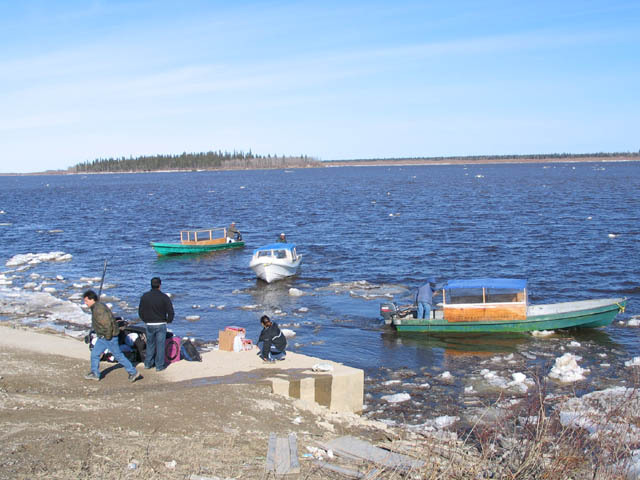 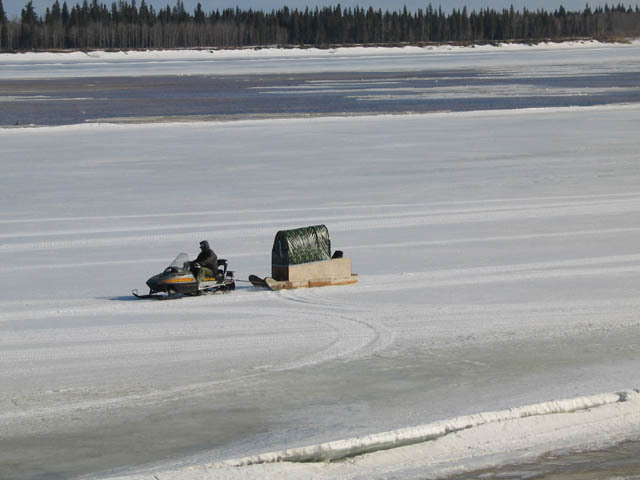 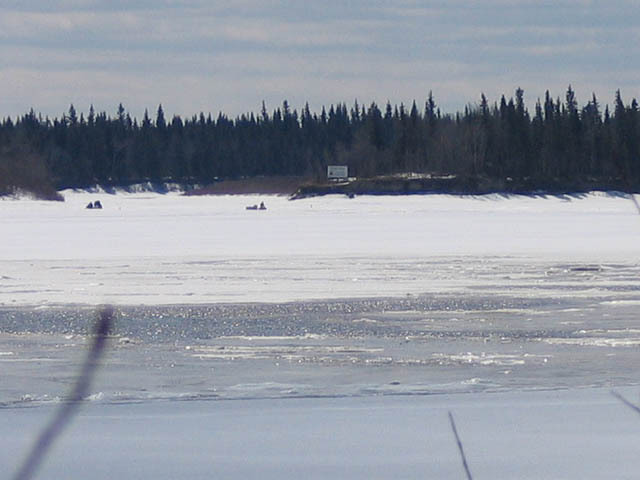 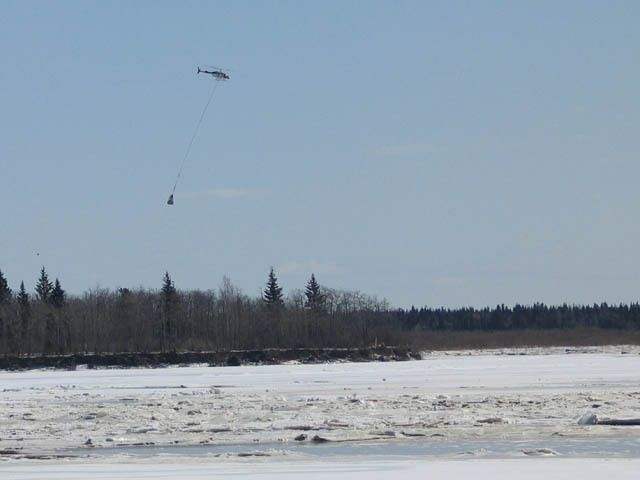 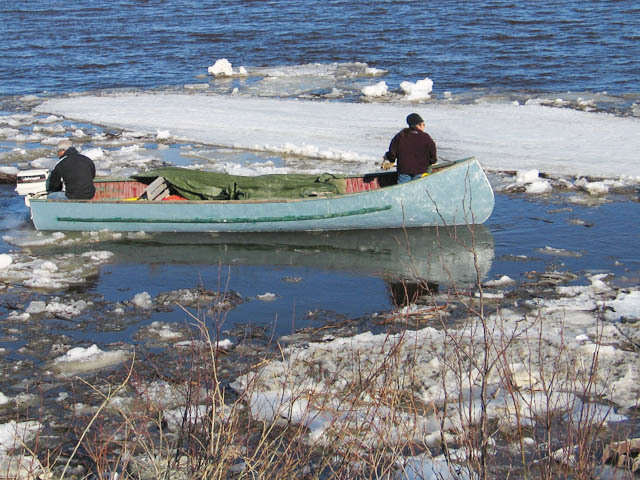 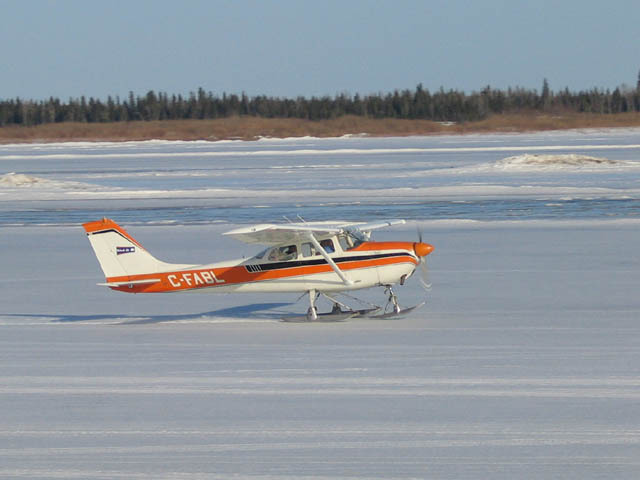 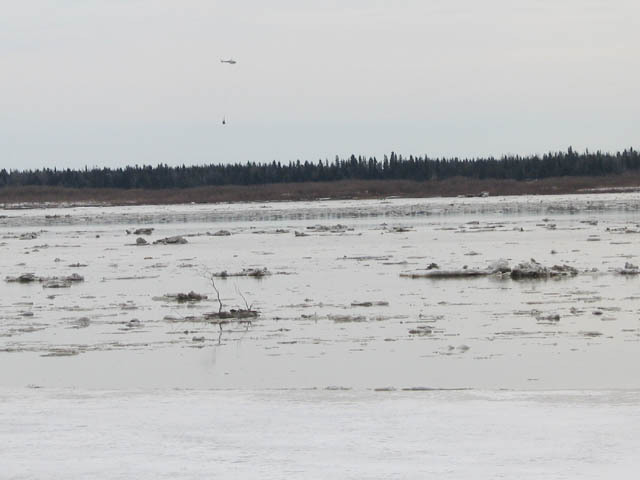 During the breakup and freeze up periods travel to and from Moose Factory is by helicopter -- considerably more expensive than travel by boat (summer) or motor vehicle (winter). 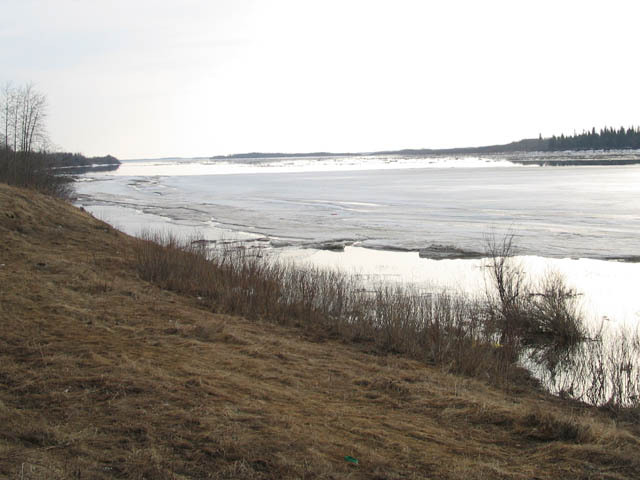 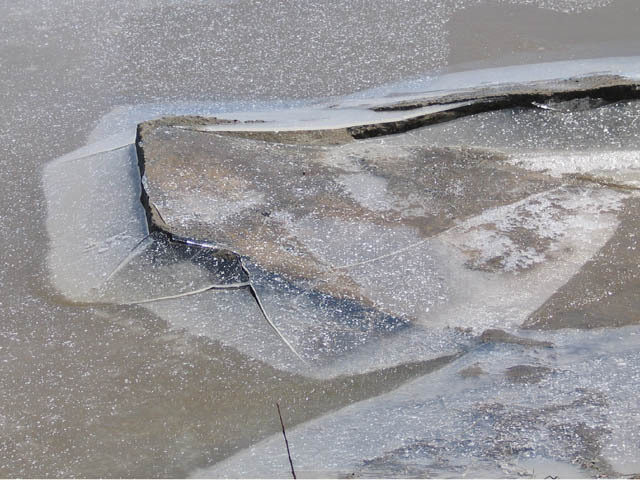 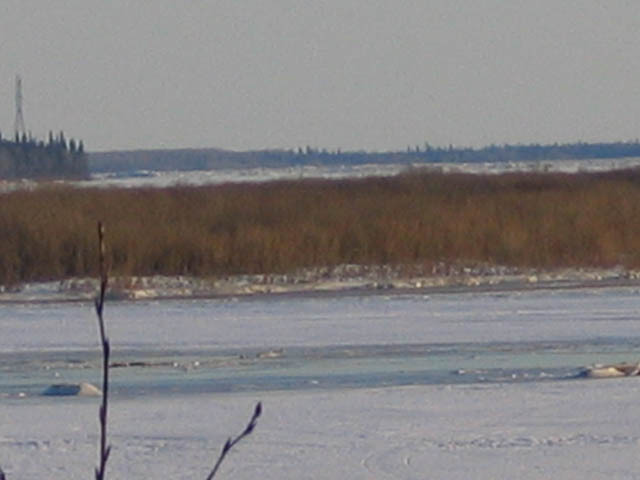 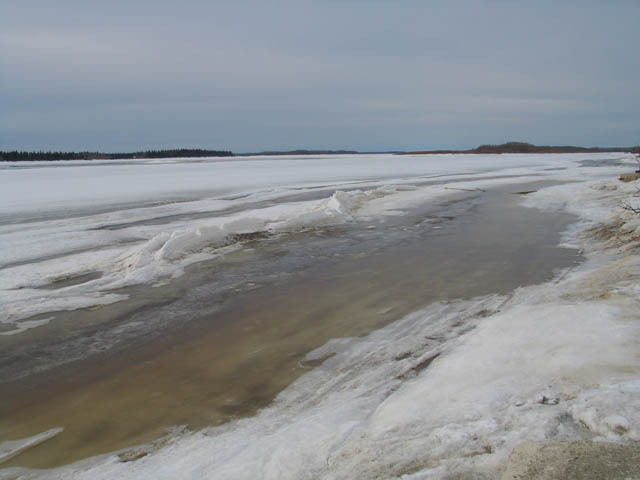 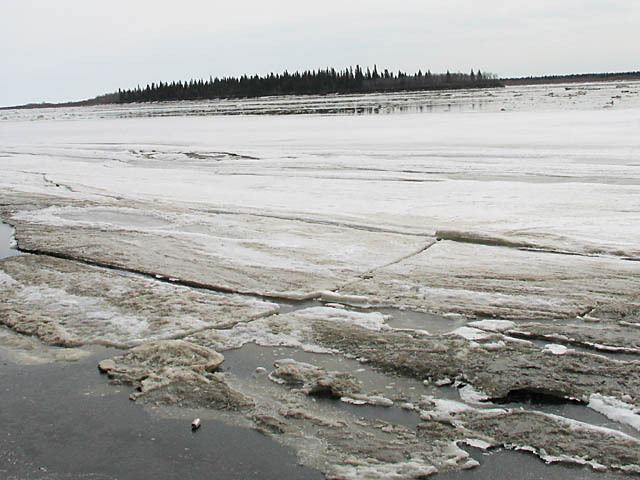 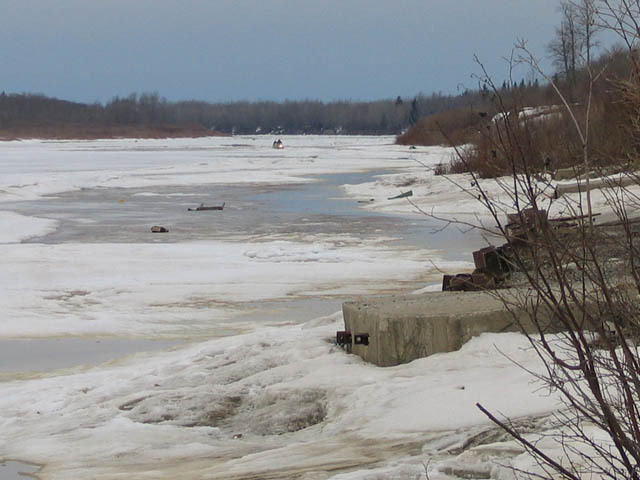 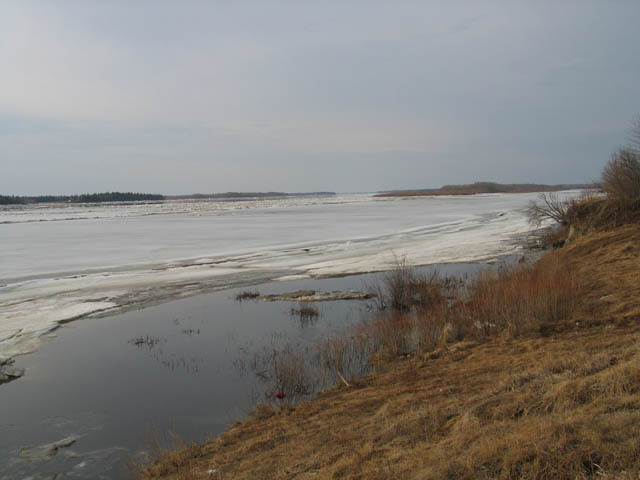 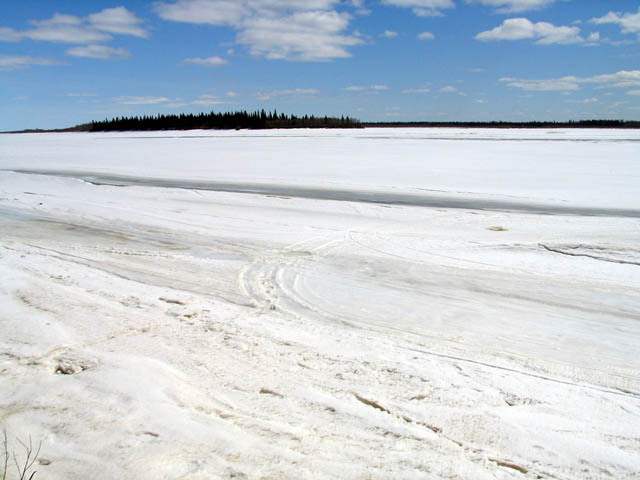 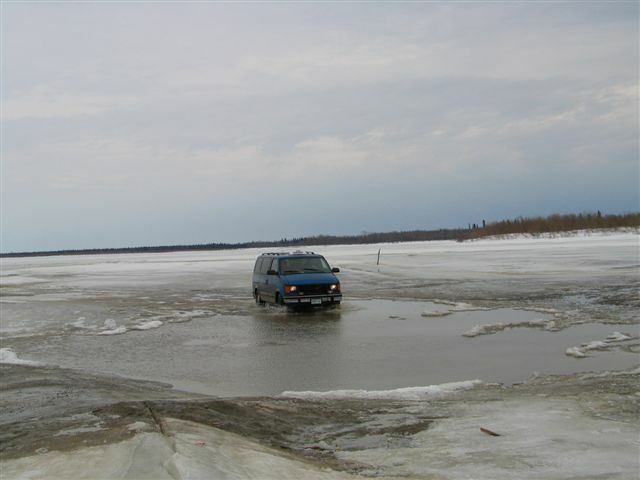 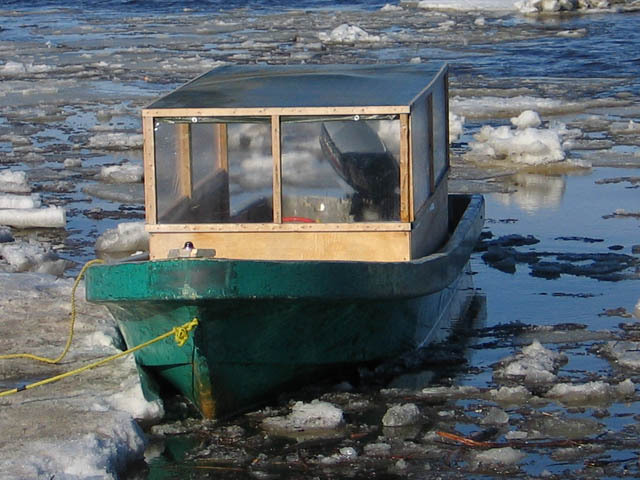 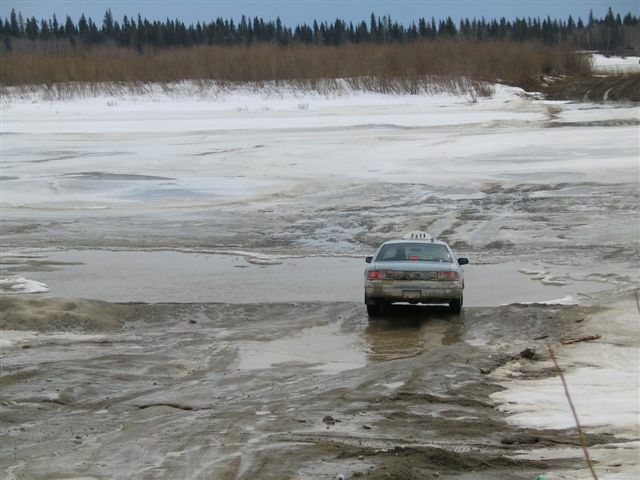 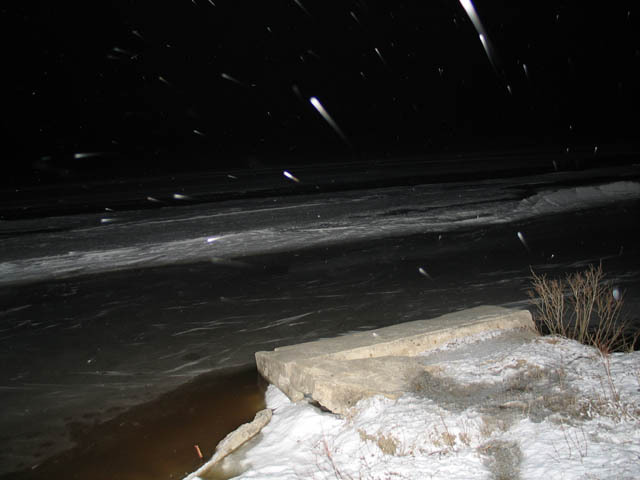 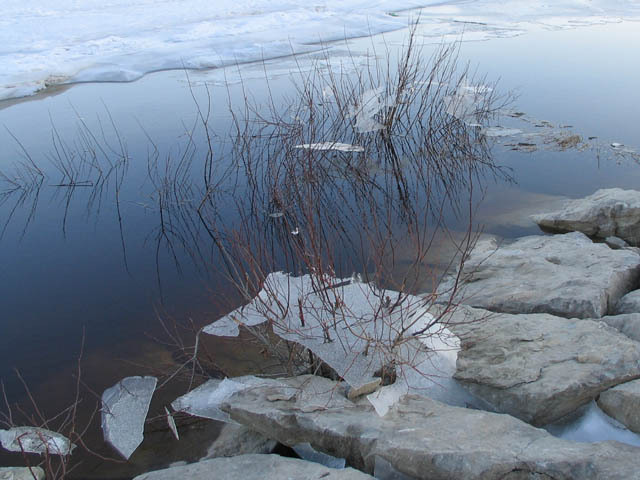 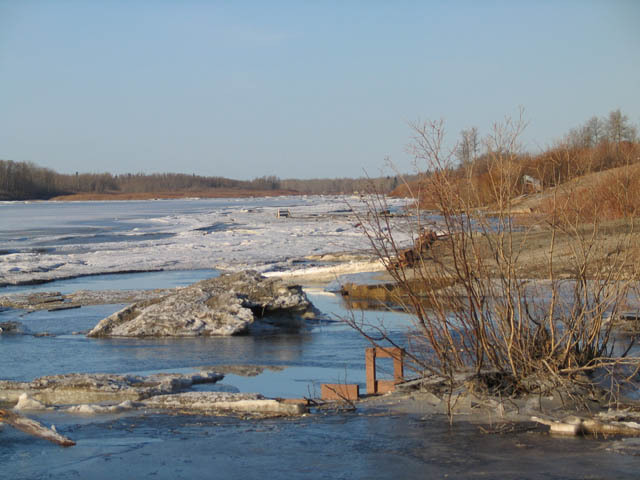 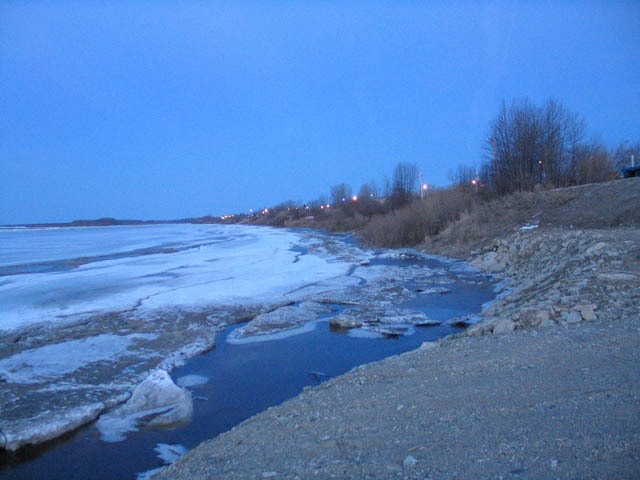 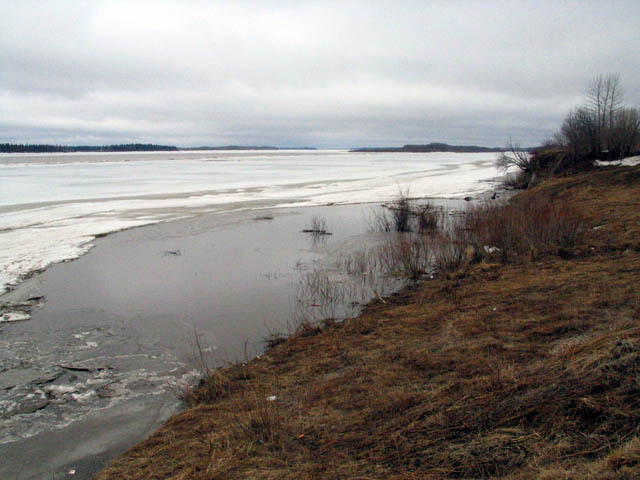 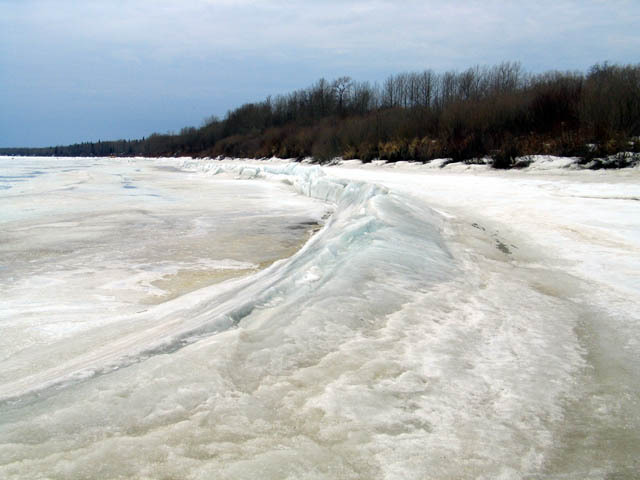 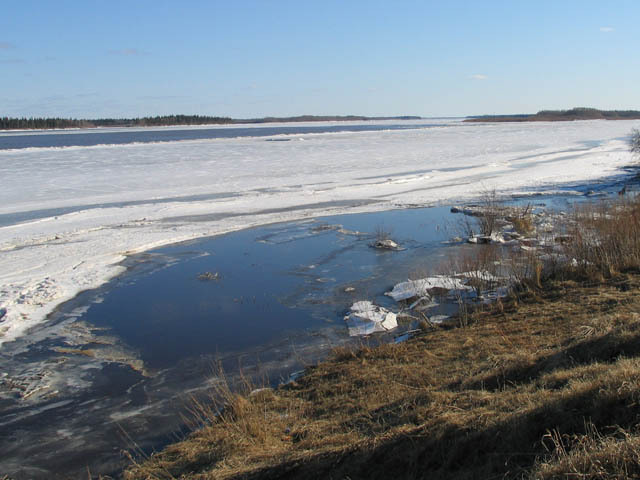 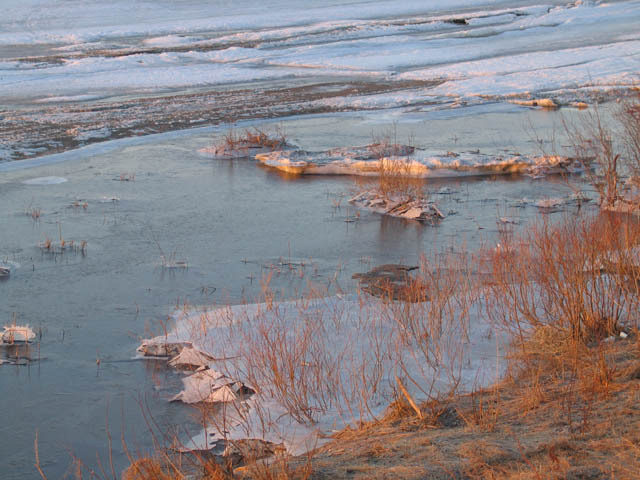 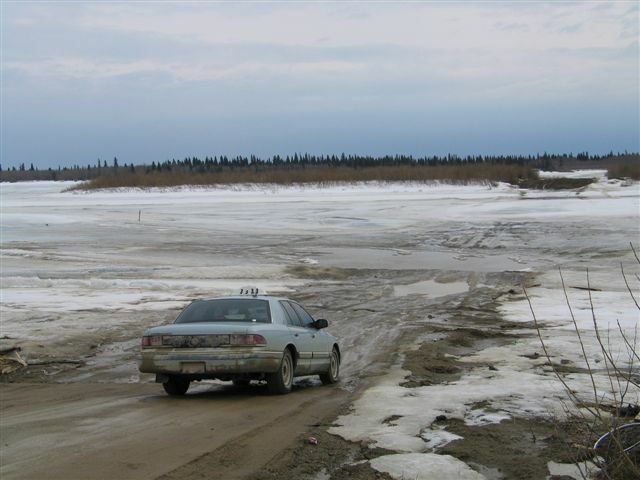 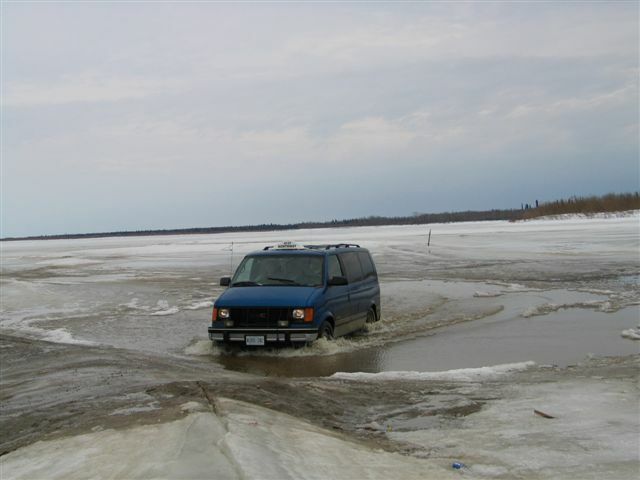 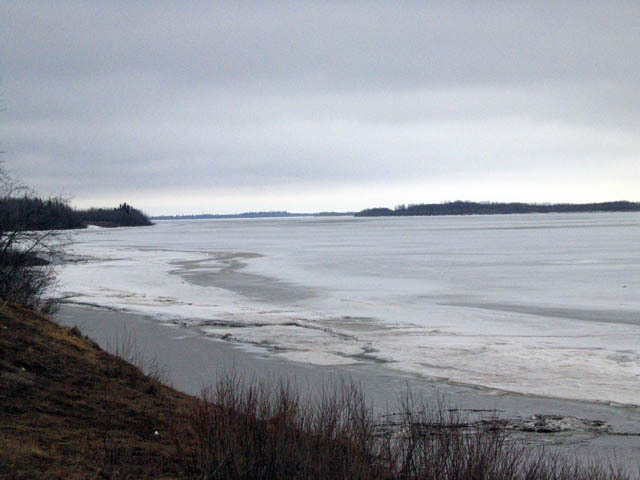 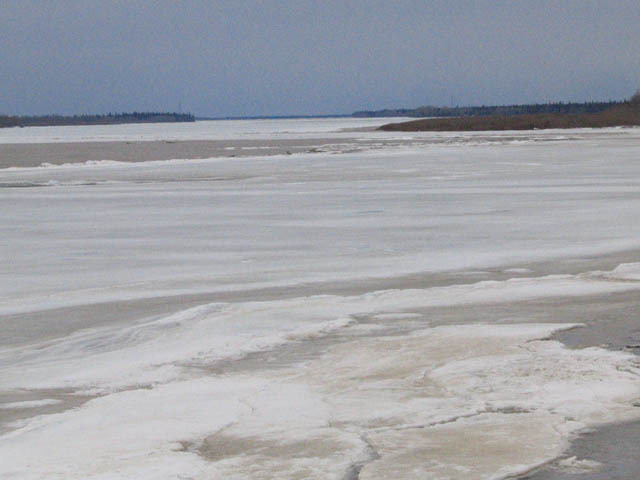 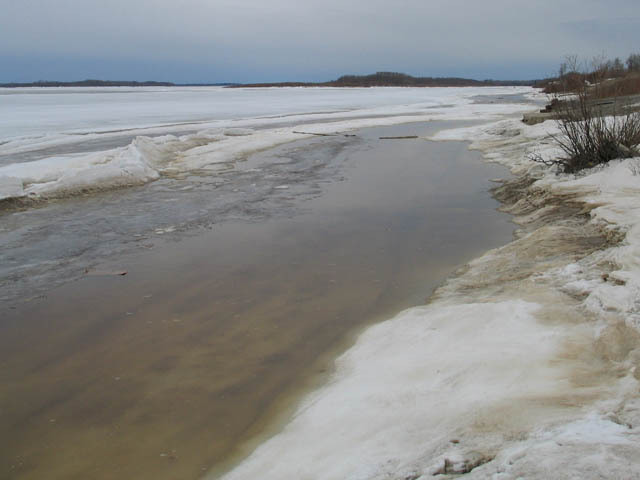 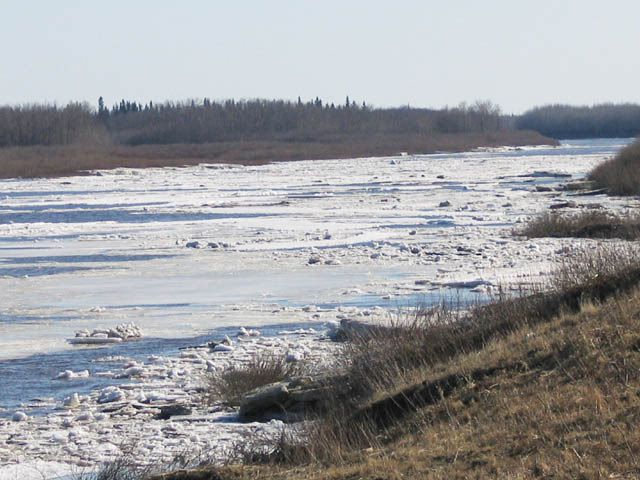 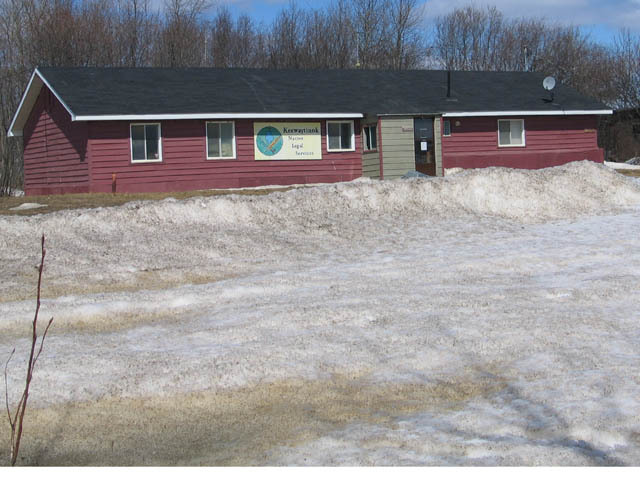 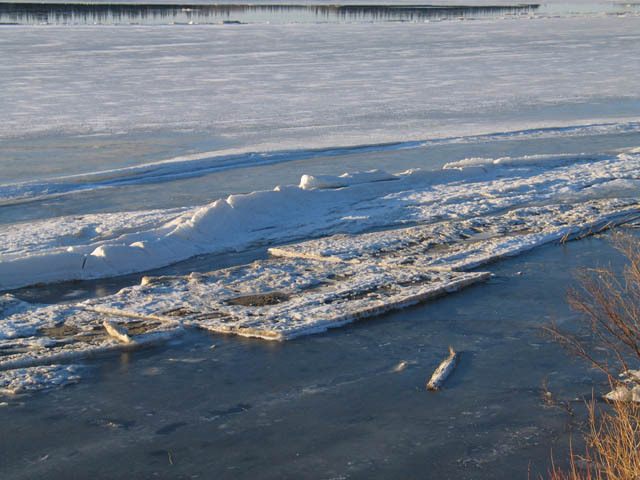 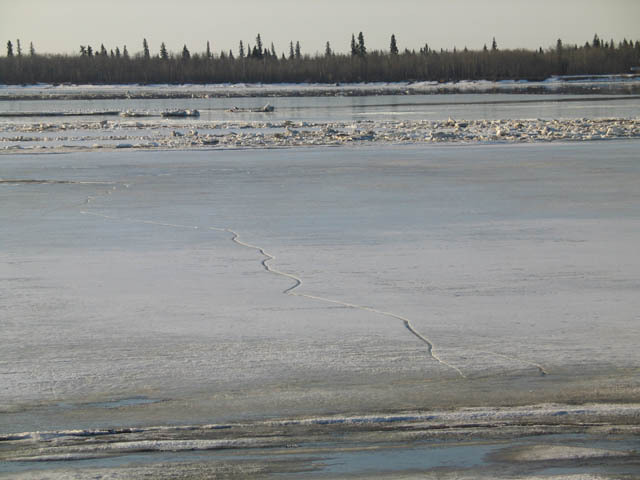 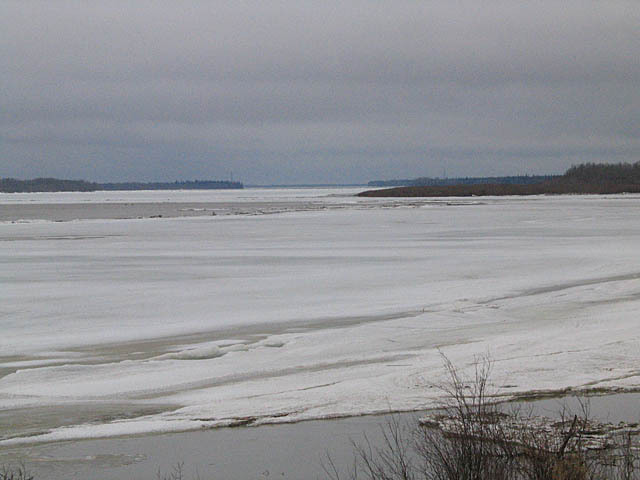 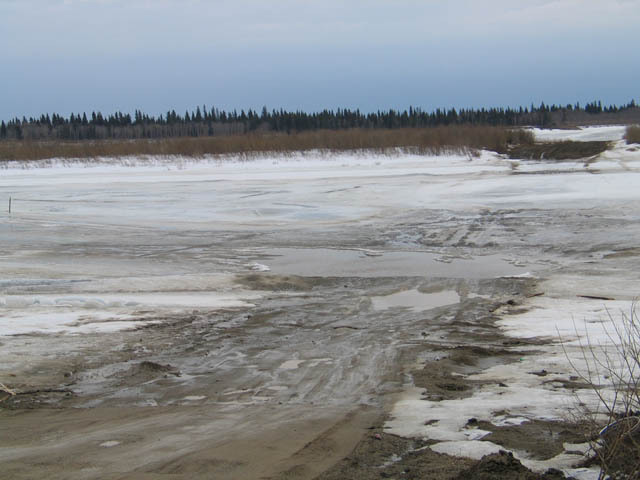 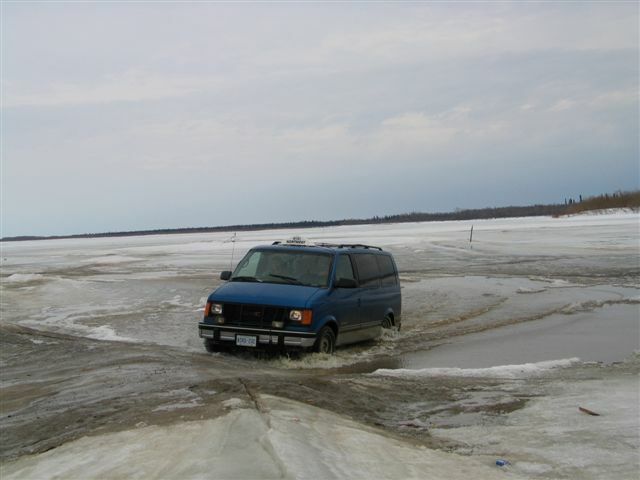 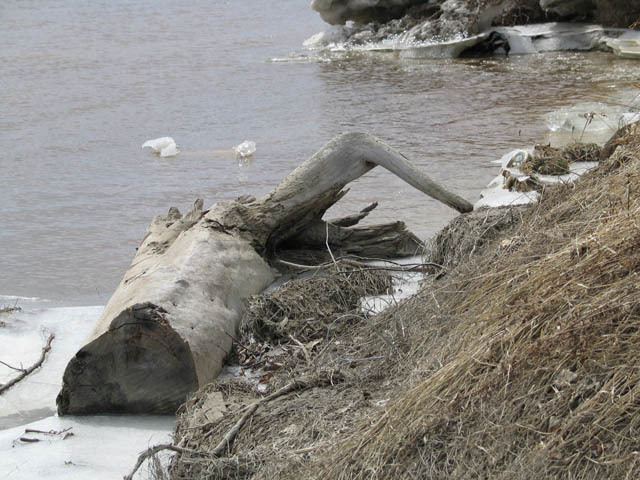 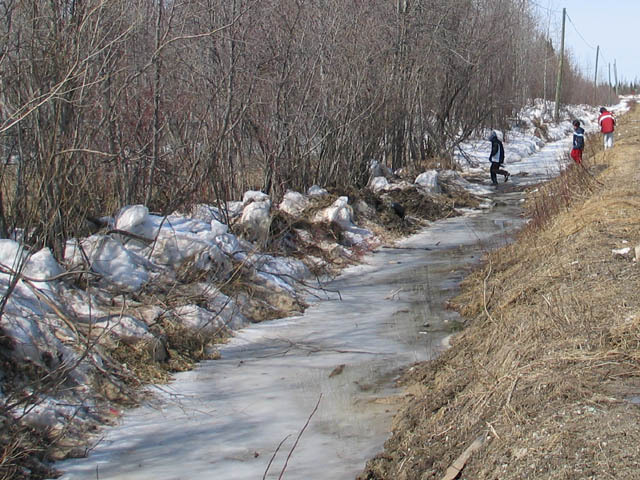 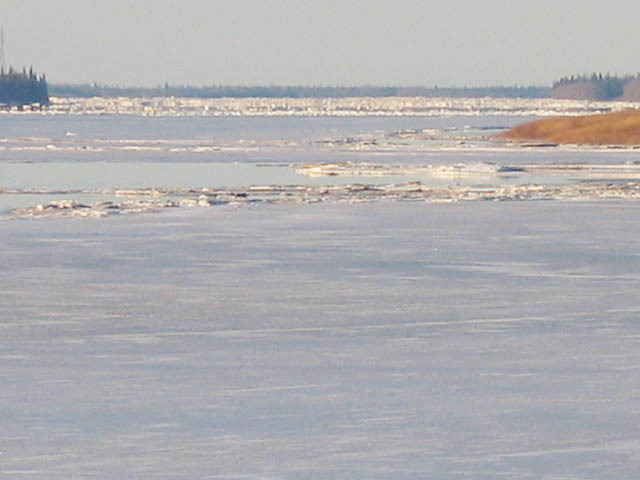 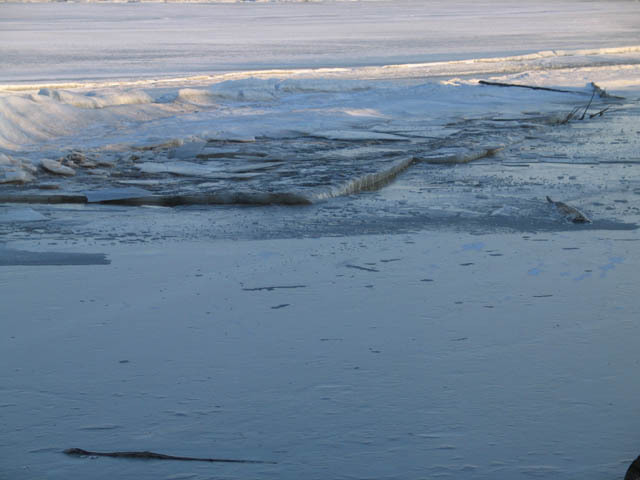 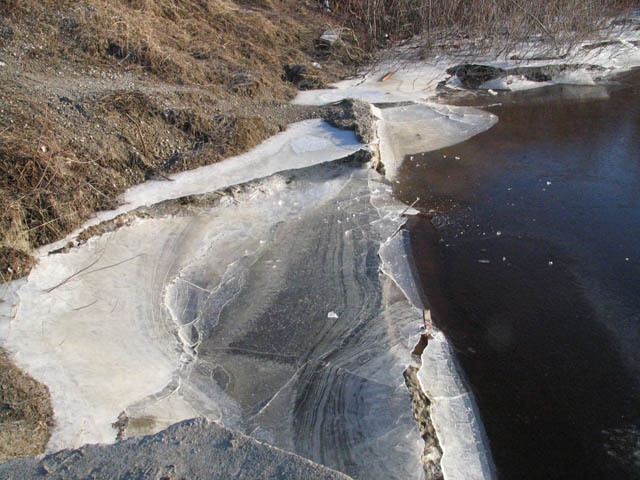 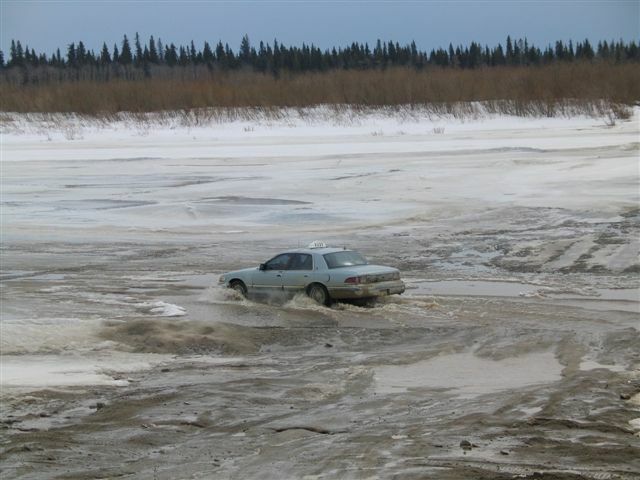 In November 2003 the almost frozen river broke up due to a warm spell. 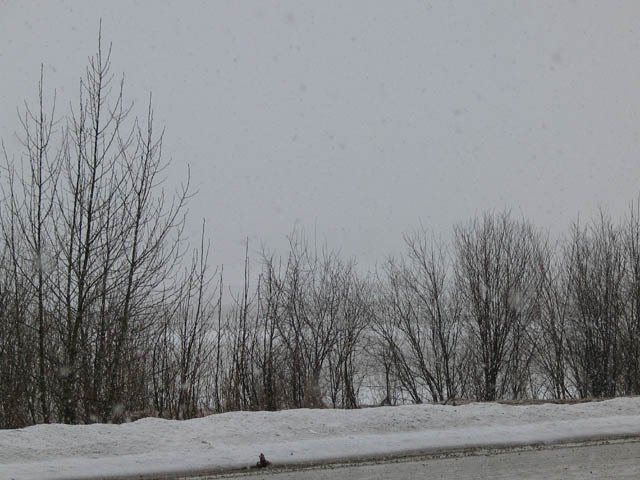 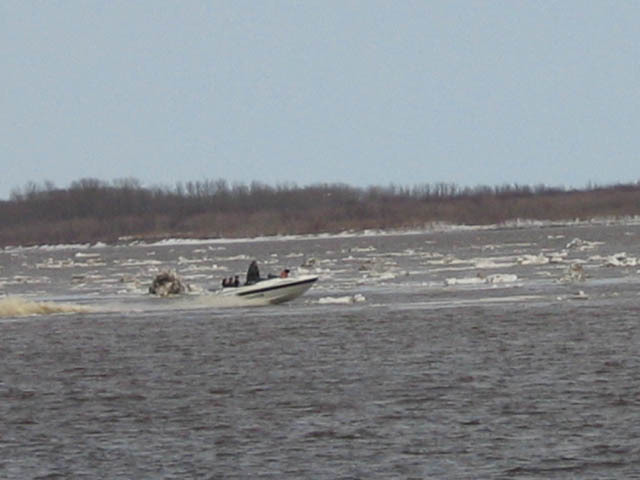 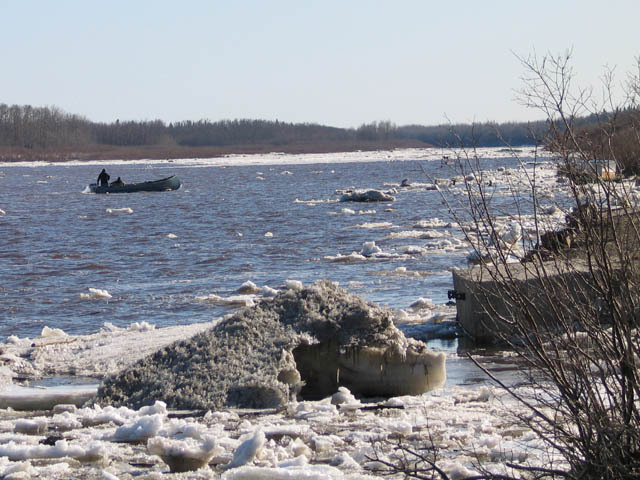 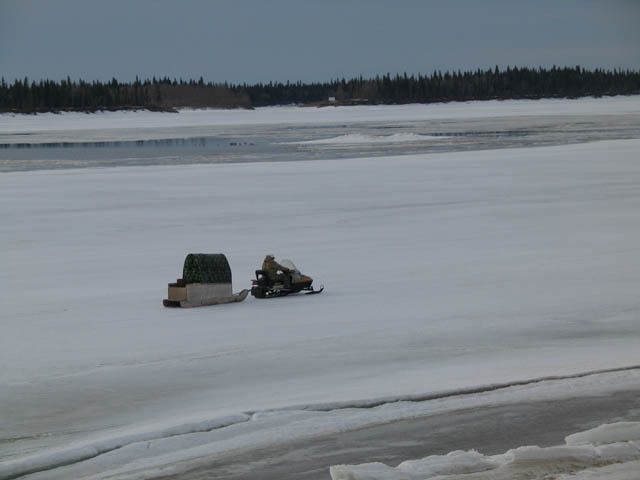 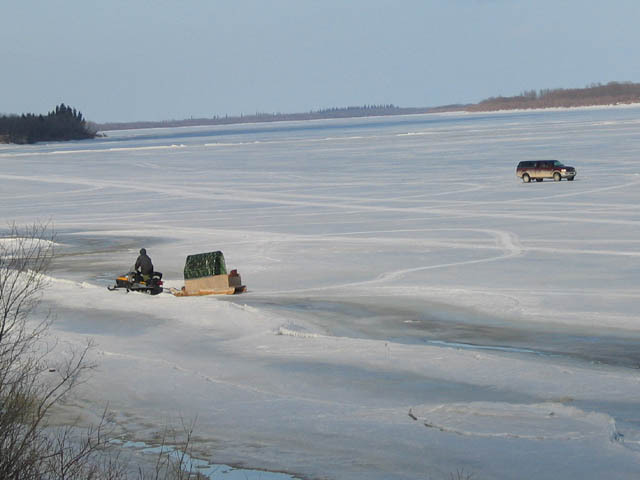 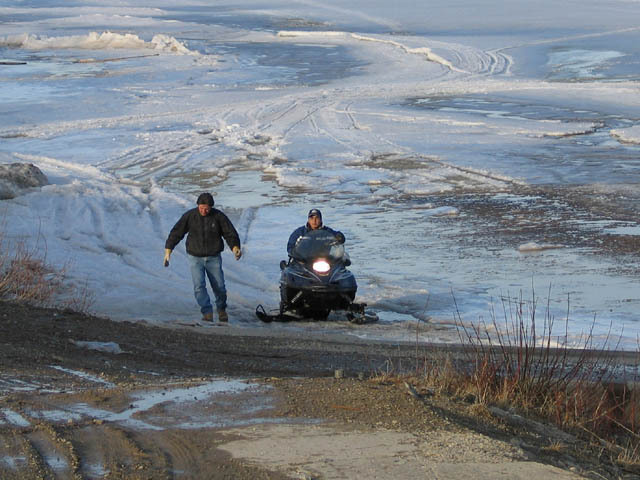 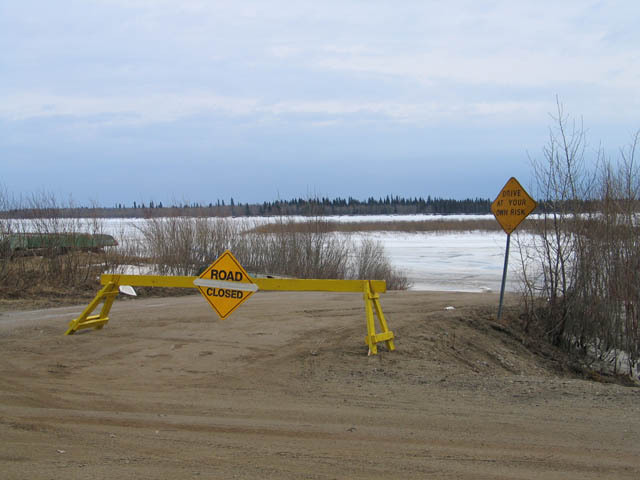 On April 21, 2004 snowmobiles and ATVs were still on across the river in the morning. 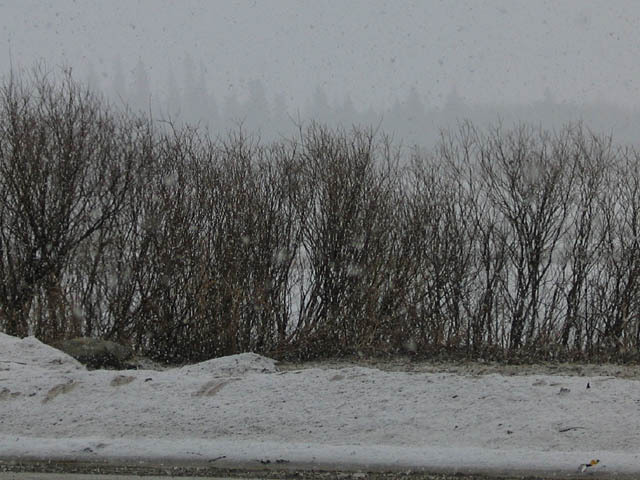 It snowed that afternoon and there appeared to be little or no traffic later on. 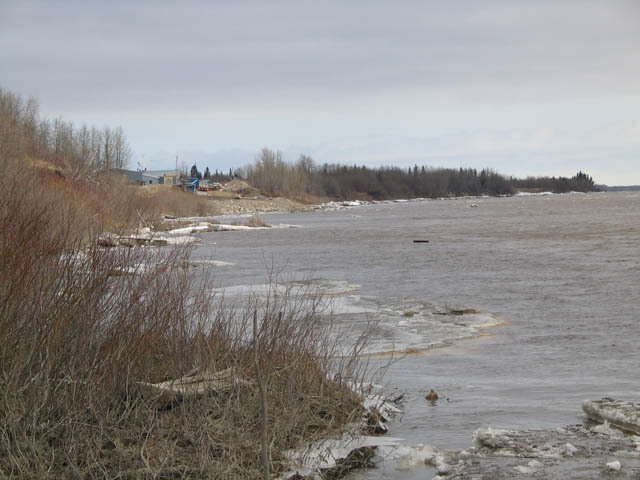 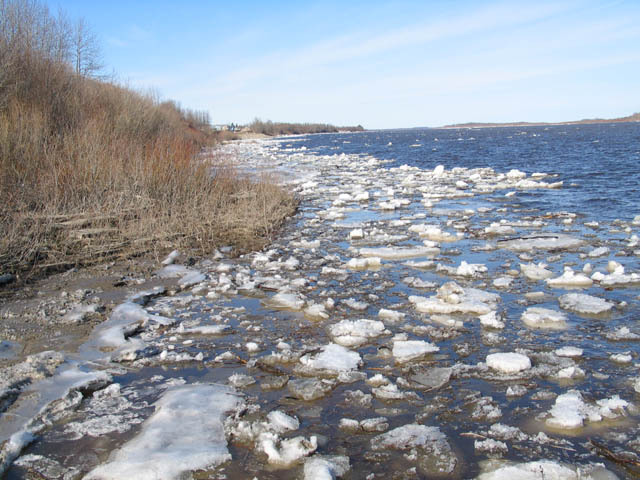 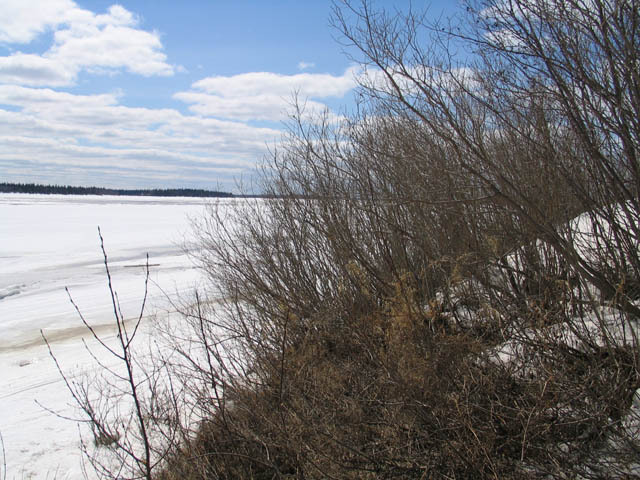 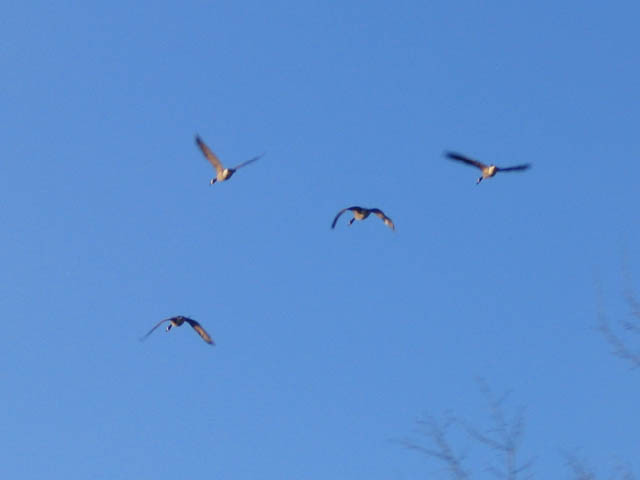 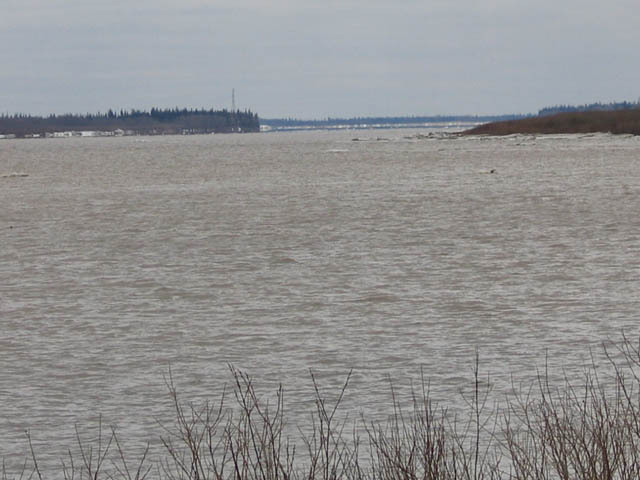 The following day breakup was reported a few miles up the river near the point at which the hydro lines cross. 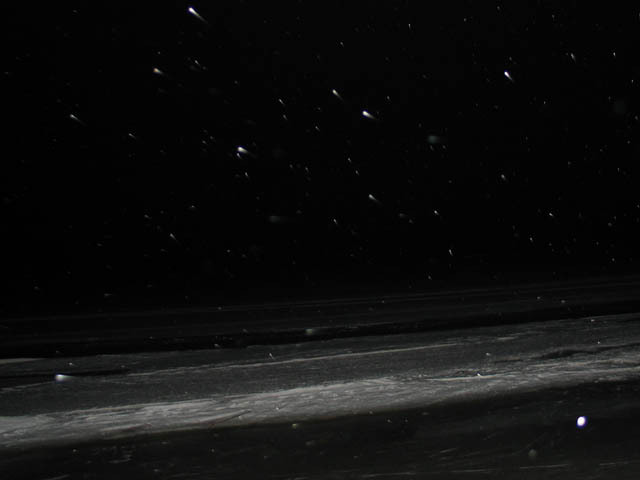 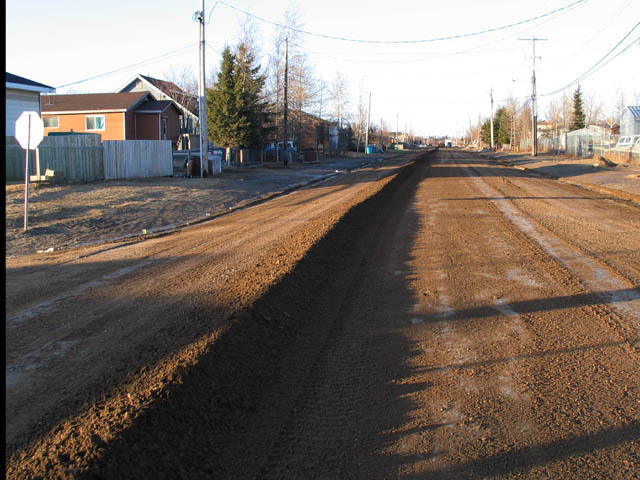 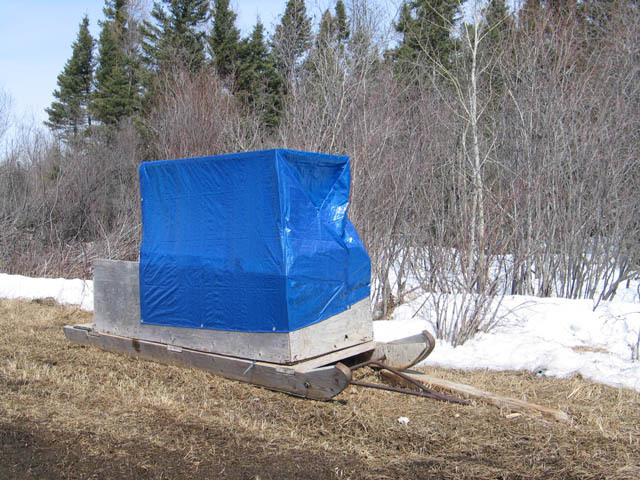 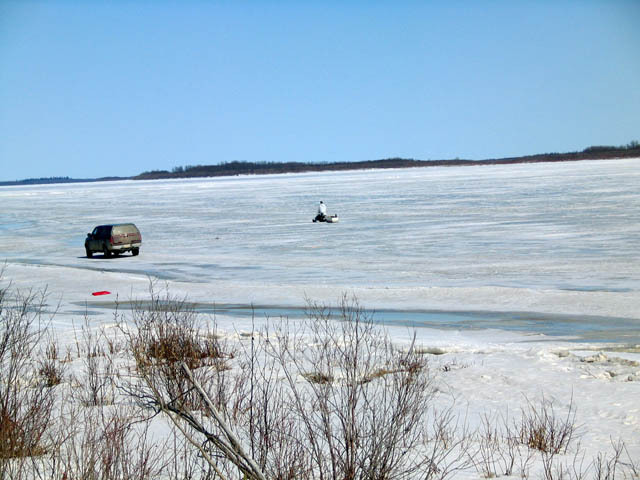 It appears that one person went across on a snowmobile on the weekend of April 24/25. 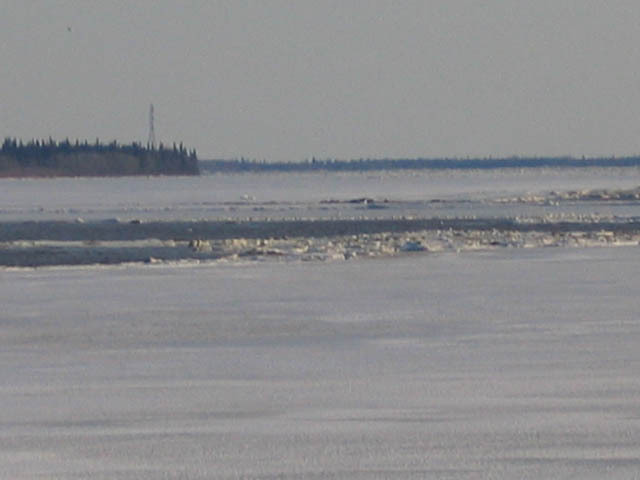 By the end of the month a lot of ice was flowing although it was still a solid sheet close to the Moosonee shore. 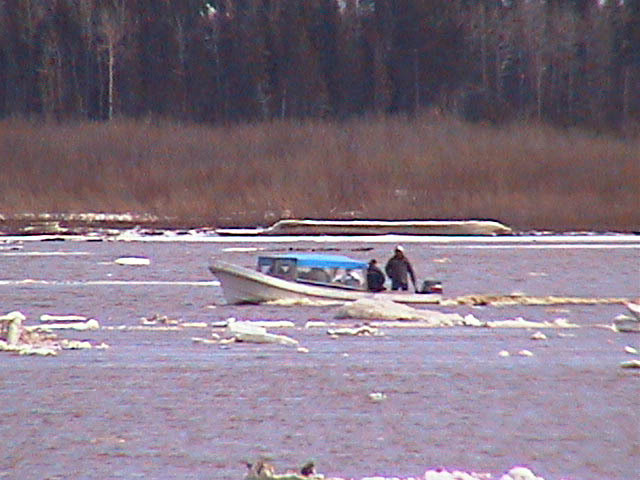 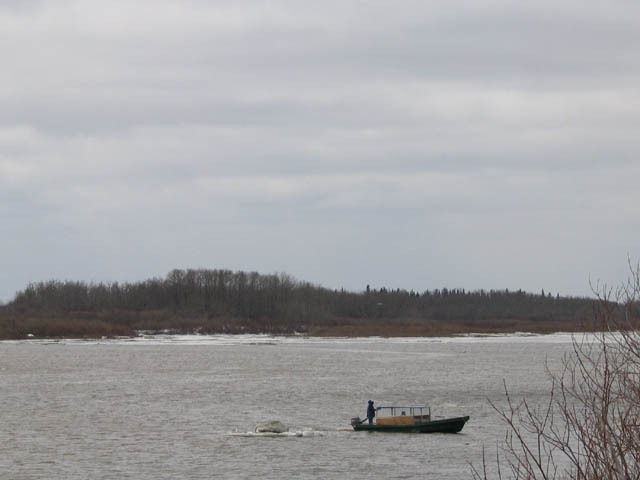 Several boat taxis were operating on April 30th.